When people think of brownies, they don’t usually think of them being too healthy. 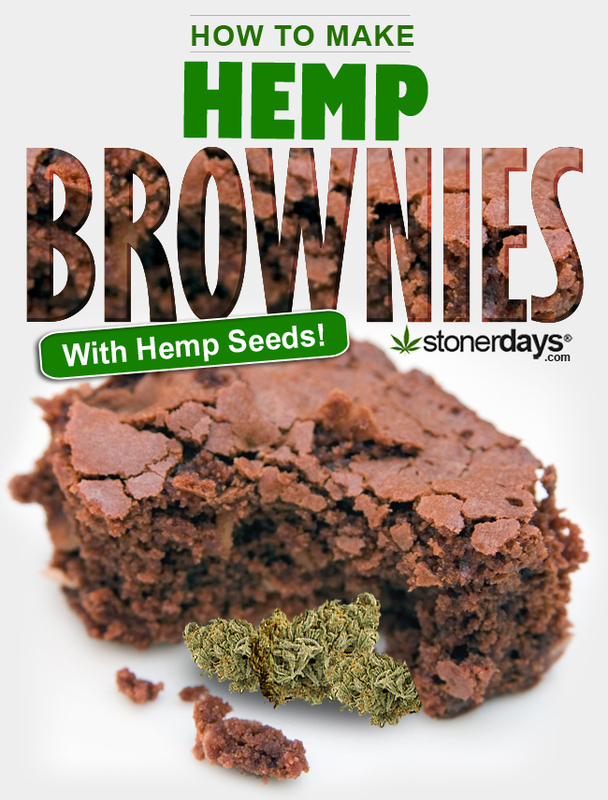 However, that thought is about to change thanks to the addition of hemp seeds in to the traditional brownie recipe. With the recent explosion of hemp knowledge and support, more and more people are beginning to incorporate hemp in to their diets, more specifically the seeds. The seeds of the hemp plant are the most helpful part, containing an excellent source of vegan protein, dietary fiber and all essential amino acids, plus the added benefit of antioxidants, vitamins, and minerals. Not only are hemp hearts an extremely nutritious part of a diet but they are also gluten free and are considered a raw food, plus they never contain allergens. The hearts aren’t nuts either, leaving them to be enjoyed by basically everyone. They can be eaten raw like peanuts or added to snacks like cereal, yogurt, or fruit salad. Taste-wise, they resemble sunflower seeds so if you enjoy those, you’ll definitely love the taste of hemp hearts. And if you don’t, simply juice them and drink them as a shot. It may taste bad but the health benefits are worth you taking a shot of something that doesn’t taste very good! 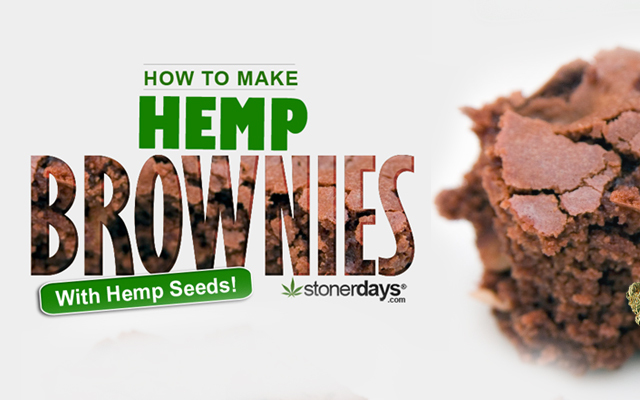 The recipe for these hemp brownies is extremely easy, not to mention no bake! 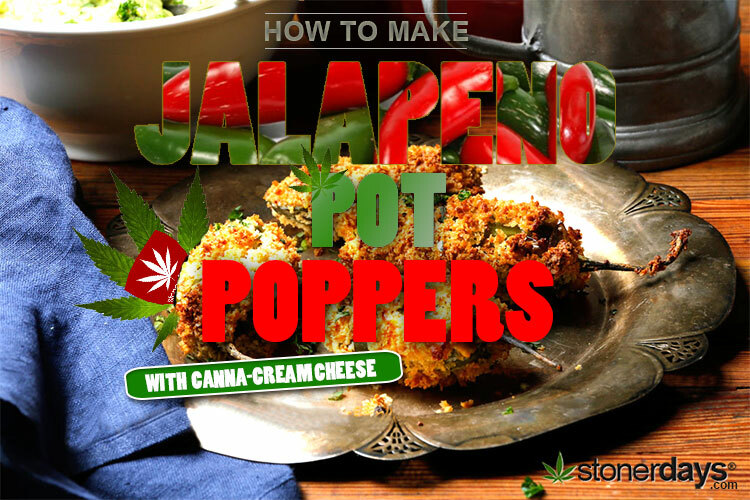 With only six ingredients to gather up, even the stoniest stoner can pull these off and make them taste amazing! You can store these treats in the fridge or the freezer if you like them chilly. This recipe makes about 9 servings so be ready to indulge in these delicious snacks that also happen to be good for you! Set aside two tablespoons of hemp seeds in a small owl. Take the remaining hemp seeds, cacao powder, salt, and walnuts it to a small food processor and pulse for 10 seconds until the mixture is finely ground. Take half of the dates and the vanilla extract and add them in. Puree everything for about 15 seconds and then move it to a mixing bowl. Form 15 to 18 small meatball sized balls and roll them in the remaining hemp seeds to give the a nice covering. Set the balls in a container and let them sit in the fridge for about two hours. You can enjoy them then or wait and store them in the fridge like stated above! Enjoy! 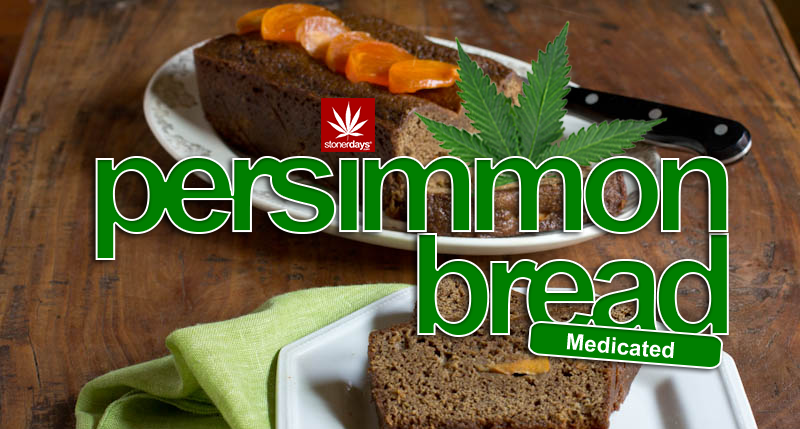 StonerDays Cookbook Persimmon Bread is not like your Grandma’s . This is a stoners little twist on Grandmother’s Persimmon Bread Recipe. Not only does this bread taste delicious and make you feel good it also calls for fresh persimmons, which are a super sweet fruit full of vitamins, minerals, and anti-oxidants. 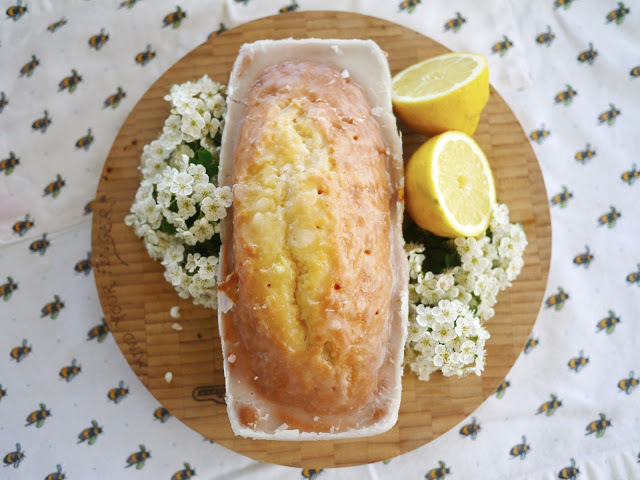 It stays good for about a week and is a bread that does well freezing for later too. Enjoy! Preheat oven to 350*. Grease 2 loaf pans with butter or cooking spray and set aside. In a large bowl mix sugar and cannabis butter using an electric hand mixer. Mix well & add the eggs, vanilla, and persimmon pulp and continue until all ingredients are mixed together really good. In a separate bowl sift your flour, baking soda, salt, spices, nuts, and raisins. When the nuts and raisins are evenly coated in the flour mixture slowly add a little at a time now using a wooden spoon to stir into your cannabis persimmon mixture until all ingredients are combined well. Now pour your bread mixture evenly into your 2 greased loaf pans and bake in preheated oven at 350* for 55 minutes. A toothpick can be used to check if your bread is done. When toothpick comes out clean your bread is done. If it doesn’t it will need another 5-10 minutes depending on your oven. If your bread is done remove loaves and let cool on a wire rack. This bread does great for freezing and tastes just as fresh once defrosted. That’s right. Cinnamon cannabis oatmeal cookies. Oatmeal isn’t the most popular flavor of cookies but cinnamon roll is something that most people agree is amazing. On a scale of 1 to 10, this recipe comes in at about a 3 for difficulty, meaning that pretty much anyone is capable of accomplishing the task of making these. They’ll also get you pretty stoned, an added bonus. 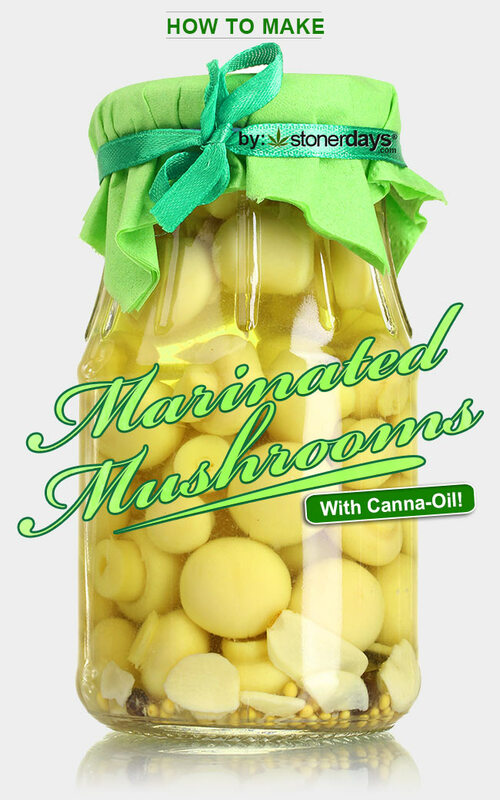 These will do well at a party or a gift for a friend and they’re the perfect recipe to begin your cannabis culinary adventure. Whatever you choose to do with them, you’ll love the way they taste! Preheat your over to 350 degrees F. While it heats up, mix the butter and the sugars together until they’re a very creamy, smooth consistency. Grab the two eggs and beat them in to the mix. After that, add in the baking soda and the flour, while still stirring consistently. Slowly pour the 1/4 cup of water in, along with all of the oatmeal packets. Continue to stir the mix until everything combines well. 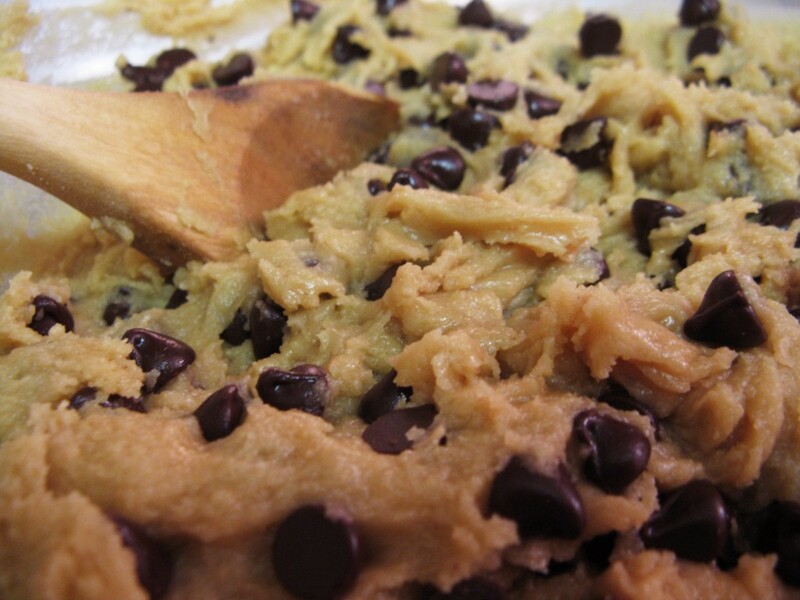 The mixture should be similar to cookie dough. Take bits of the mixture and roll them in to balls and place them on to a greased up cookie sheet. Place them in the preheated over for around 13-15 minutes until they are a golden brown color. Once they’ve hit that point, remove them from the oven and place them on to a plate to allow them to fully cool off. Now they’re ready to eat! Enjoy! Oh the holidays are here again! 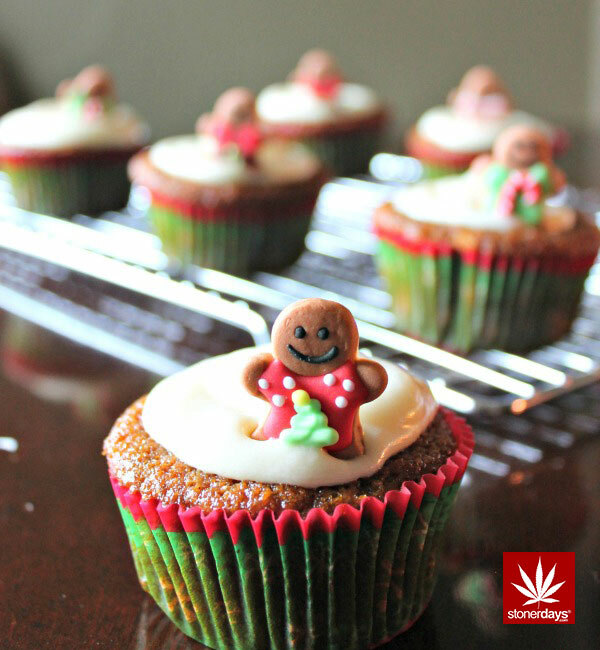 If you’re celebrating this Christmas stoner style, you’re sure to be looking for some goodies to grace your dinner table on Christmas Day. 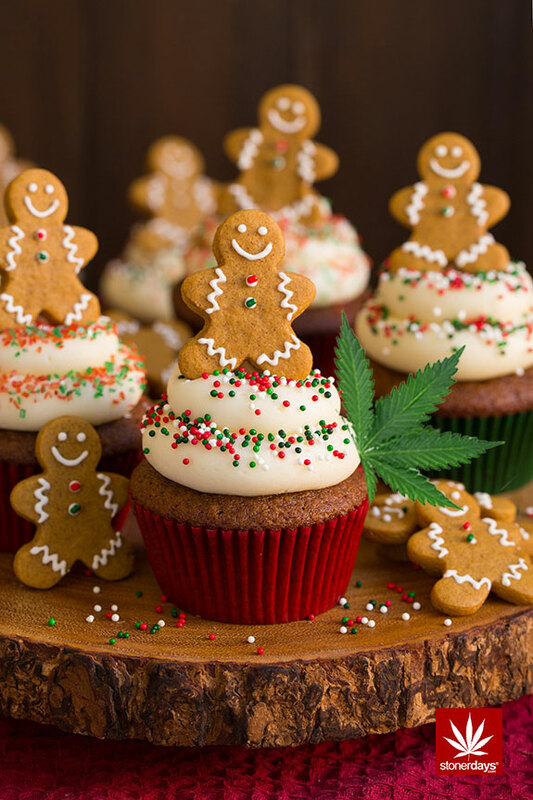 And if you’re not celebrating Christmas, well… These Gingerbread Cannabis Cupcakes are delicious and you don’t really need a reason to make them. 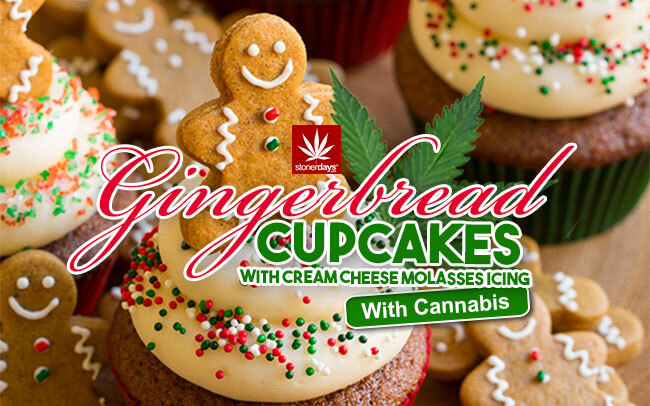 If you like gingerbread and you like cannabis, there’s like a 95% chance that you will absolutely love these cupcakes. No holidays required (although it is that time of year). Start off by preheating your oven to 350 degrees and line sixteen muffin tins with cupcake liners. Using a small bowl, combine the baking powder, flour, salt, ginger, cinnamon, baking powder, cloves, keif or hash, and nutmeg. Stir until it’s well combined and the mixture is smooth. Beat together the melted butter, brown sugar, molasses, milk, and eggs until they are well blended in a separate bowl. Combine all of the ingredients until the batter is smooth and fill each of the lined muffin cup 3/4 of the way full with the mixture. Put the cupcakes in the preheated oven and let them cook for 15-18 minutes. Be sure to test them with a toothpick to make sure that they are cooked all the way through. Let the cupcakes cool before frosting them to be sure the frosting isn’t too runny. To make the icing (which you can totally throw together while your cupcakes are cooking), all you have to do is beat the cream cheese with the butter with an electric mixer. Beat in the molasses and the vanilla extract and then proceed to beat in the powdered sugar. Continue to mix until the frosting is smooth and then use the back of the spoon to spread the icing on top of the cupcakes, after they cool of course. Then you can sprinkle the coarse raw sugar over the top of the icing and bam! Your cupcakes are ready! Christmas is less than a week away and you’ve got to get your cooking in order before the guests start to arrive! As I always say, dessert is the most important part of the holiday season… Or you can just give these little treats away as gifts, as there are plenty of people who would love a tray of truffles for Christmas! 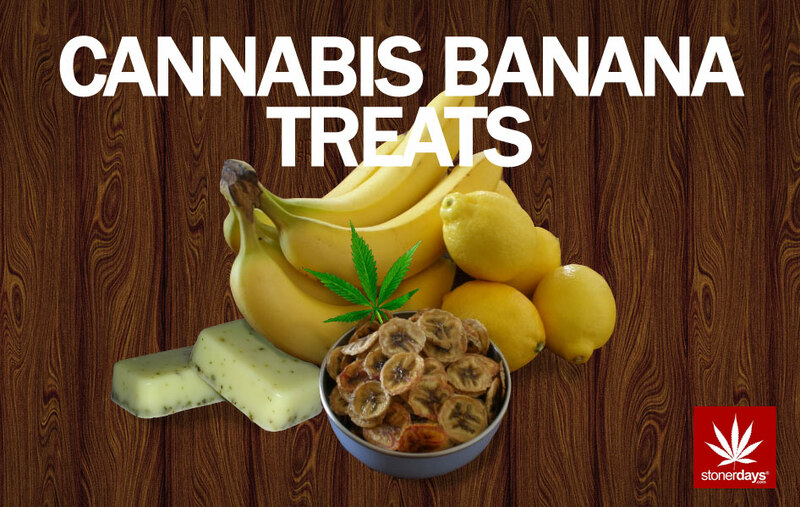 No matter what you’re doing with these medicated treats, you’ll be sure to fall in love! 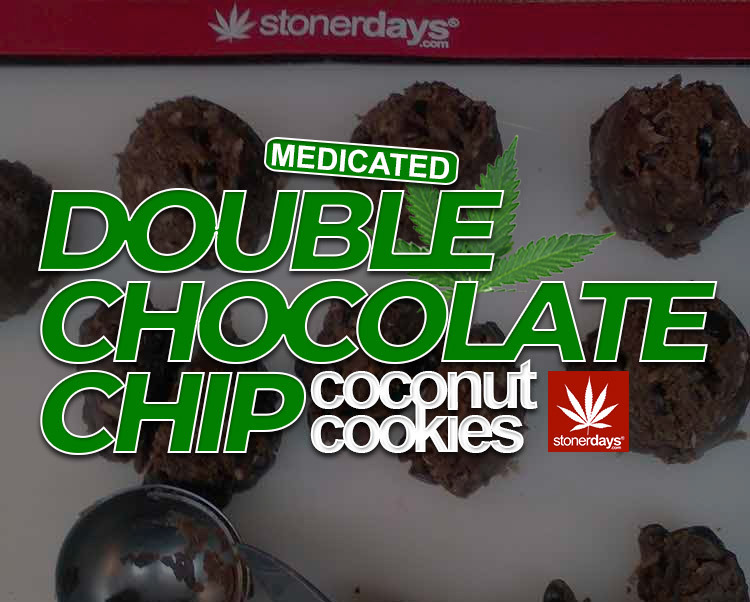 Take four cups of the chocolate chips and mix in the weed, then melt it in the microwave. Only keep the mix in the microwave until melted. Avoid letting the mix bubble. Once the chocolate has melted, remove the bowl from the microwave and add in the water, coffee, and cream cheese. Mix together well. Chill the mixture in the fridge for about an hour until it is firm enough to roll in to small balls, measuring about an inch. Place these on a sheet of wax paper and place in the freezer for an hour. In the microwave, melt the last two cups of chocolate chips and butter. When the mixture is smooth, drop a few of the frozen balls in at a time and stir vigorously. Quickly remove the balls and place on a wax paper lined cookie sheet. Let them cool and harden, then wrap them or eat them as desired. You can buy fancy wrappings for these and use them as stocking stuffers or you can eat them yourself or even serve them at parties! Enjoy! 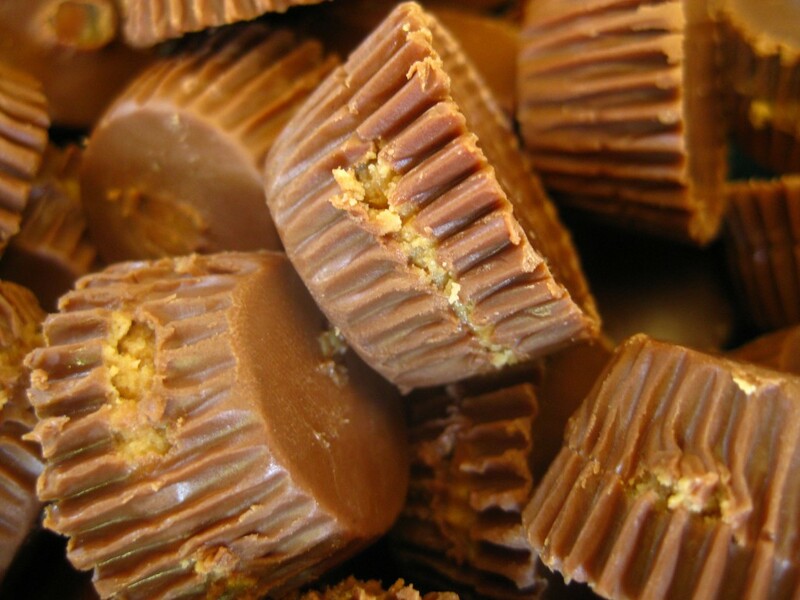 Depending on the kind of stoner you are, you have a favorite kind of candy. While some smokers enjoy the overpoweringly sweet taste of lollipop, others prefer the smooth taste of chocolate and caramel. 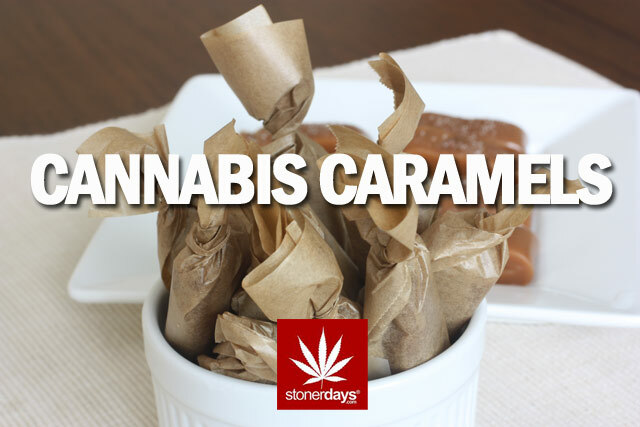 Luckily for the stoners who like chocolate and caramel, Stonerdays has found a recipe that you’re going love. 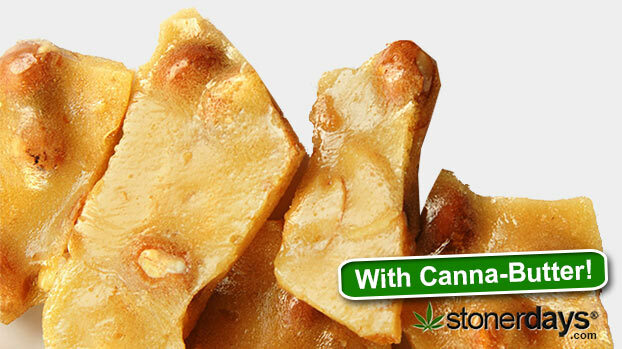 Medicated cannabis caramel snacks are a great way to stay high all day and they taste incredible! 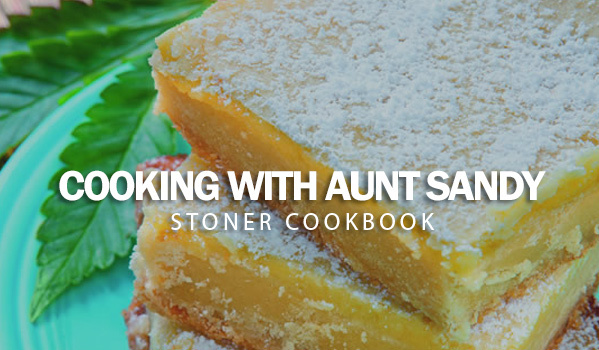 Stir together the brown sugar, salt, and melted cannabis butter. Mix together well, at which point you should add in the corn syrup. Continue to stir the mix while slowly adding in the milk. Be sure that all ingredients are getting blended together well. Put this mixture in a pot and place on the stove over medium heat. Let this cook for 10-15 minutes, stirring occasionally. The ingredients should have taken on a firm texture, almost like pizza dough. Take the pan off of the stove and add in the vanilla that you have ready. After adding the vanilla, pour the entire mix in to a pan (Be sure to spray it with cooking spray first so nothing gets helplessly stuck). Let the pan cool off and you’re ready to cut your candies in to whatever shape you want. You can wrap them and give them to friends as special little medicated surprises as well! There are other things that you can add in to this recipe, depending on how you like your caramel. 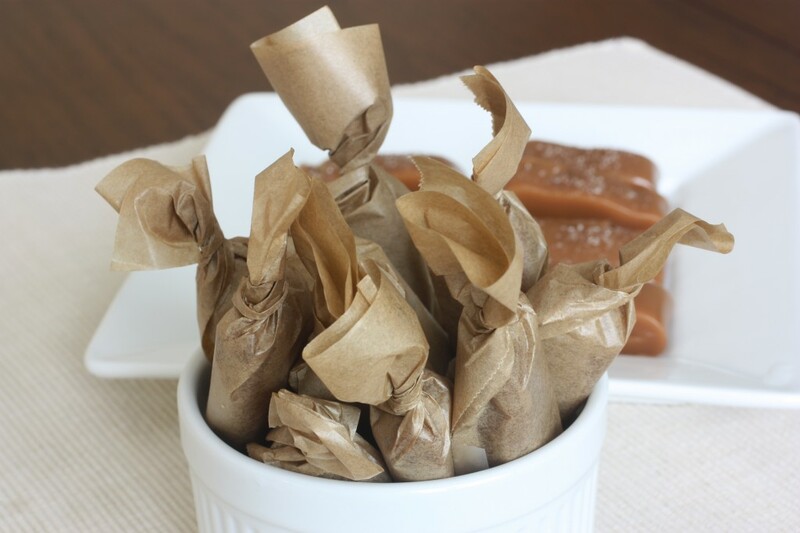 It’s possible to coat the candies with salt or even add dried fruit in to the mixture when making in order to add some extra flavor to your treats. Halloween is coming faster than most people realize so if you’re having a party, these treats are going to be a hit! I can’t say that I’m a huge fan of mayo but working in the food business has shown me that it’s probably the single most popular condiment out there. People put mayo with everything. They’ll put it on subs, dip their fries in it, put it in the calzones and on their pizza. It’s insane how much people like mayo. So here’s this recipe for mayo that will taste awesome and it will also give you a little buzz. 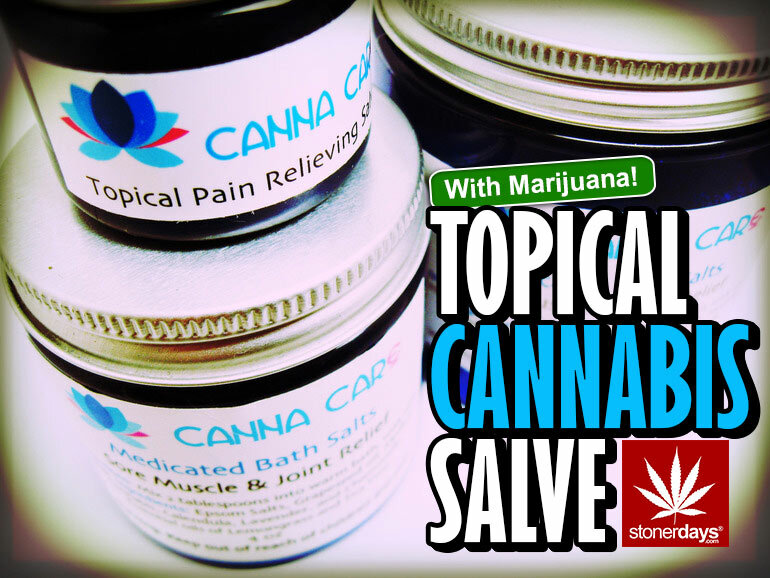 The recipe is really easy but just know that you will need cannabis oil so have some of the on hand before you start. 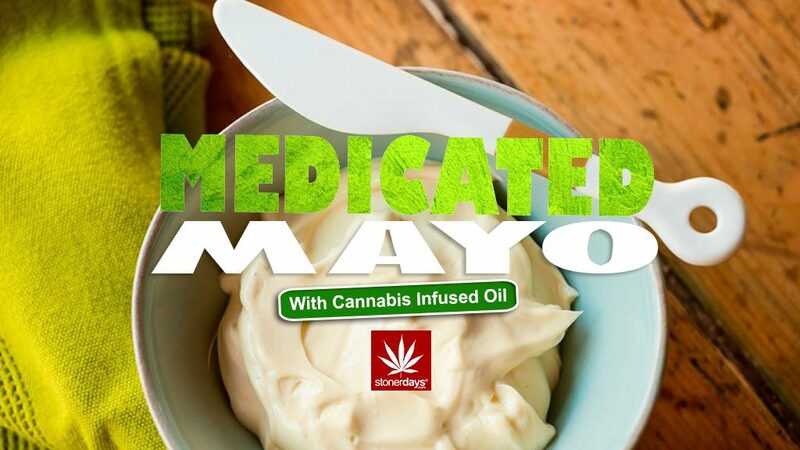 All you have to do to get your medicated mayo is whisk together the egg yolks, the salt, vinegar, lemon juice, and mustard together. Make sure it’s mixed up well. 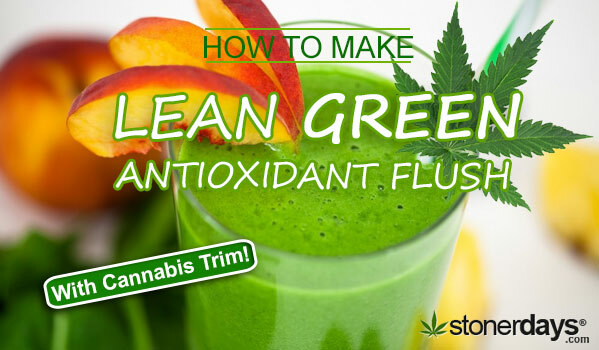 Slowly add in the cannabis oil while still whisking the mixture. Do this carefully or risk making a huge mess. Once the oil is completely added in, continue to whisk the mixture until is begins to thicken. If it gets too thick, you can add a few drops of water to get the right consistency. Put the mayo in an airtight container and let it chill in the refrigerator for about two hours. 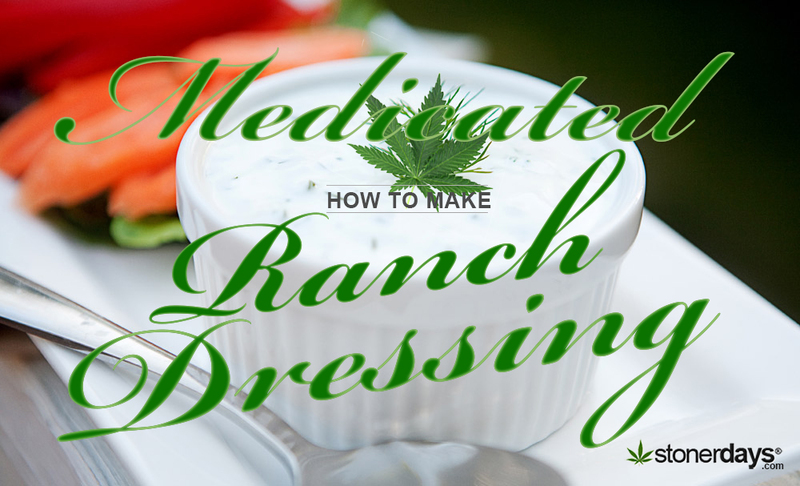 And here’s a secret, for those of you that live on the west coast, I know how much you appreciate thousand island dressing and you can make your own using this medicated mayo by adding in equal parts of ketchup and relish. You may have to mess around with how much of each you add but once you get the consistency right, you will end up with an amazing medicated condiment that you can pretty much put on anything. You’re welcome! The wake and bake is the most important part of the stoner morning. Without a proper wake and bake, the poor pothead can’t go about their day. So in case you don’t have time to smoke and eat, it’s highly recommended that you eat. 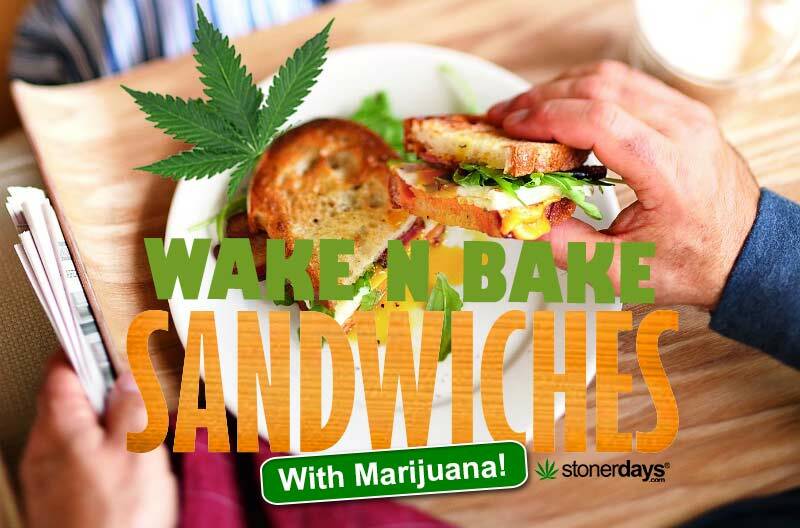 But just in case you want to get high while you eat, you can make these super easy wake and bake sandwiches that will fill your stomach and get you perfectly medicated. 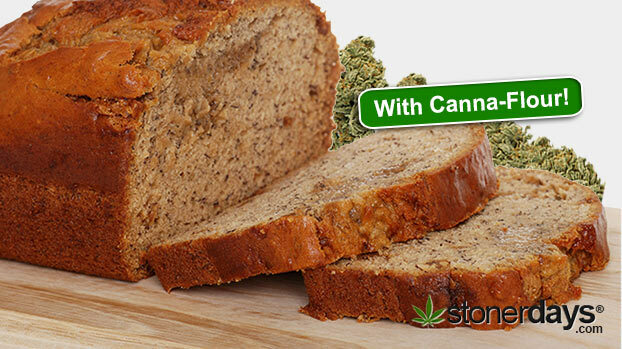 Toss the bread in the toaster and when it’s done, butter it generously with the cannabutter. Grab a pan and put the stovetop on high heat. Cook the bacon and the scrambled eggs. You can cook them in separate pans if you want to, although it will all be together eventually on your awesome sandwich. Next, assemble the sandwich. Sprinkle the ground bud in between the layers. 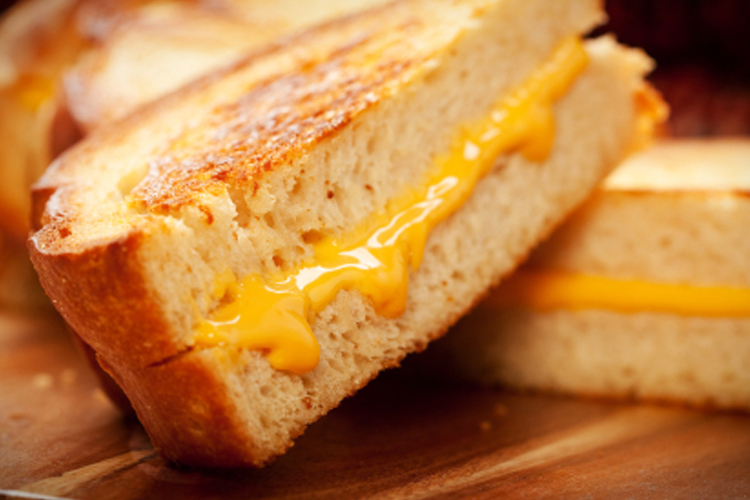 Stick the whole sandwich in the toaster oven on broil until the cheese is melting. Remove it, let it cool off a bit, and enjoy! You should feel the effects of your dank sandwich about an hour after you eat it. Enjoy your breakfast! Start off by grinding up the rosin chips in the coffee grinder until they are a fine powder in the coffee grinder. Set them aside and take a measuring cup and scoop the coconut oil in to it. Put the measuring cup with the coconut oil in the microwave and heat it slowly until the oil is a liquid. Measure out your required amount (I believe you will need 1 1/3 cups total for the two boxes) and pour it in to a pot. Add in the rosin chips and let the mixture simmer for about half an hour to forty five minutes, stirring occasionally. Make sure to keep the heat low. If the mixture is bubbling a lot, it’s too hot. After the time is up on the canna-coconut oil, you need to strain the mixture through cheesecloth to extract the plant matter. Over a bowl, strain the oil in the cheesecloth (be sure that you squeeze the cloth to make sure that you get all of the oil) and mix up the brownie batter following the instructions on the box. Finish cooking them according to the brownie instructions. 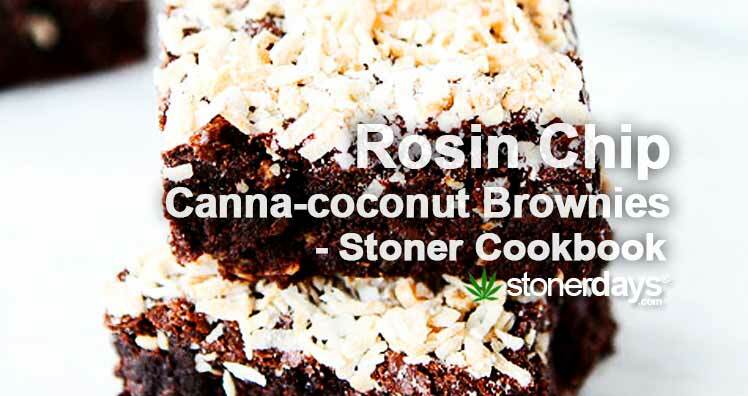 Once they are done cooking in the oven, you will have some extremely potent and incredibly delicious coconut-canna-brownies made with recycled rosin chips! Enjoy! 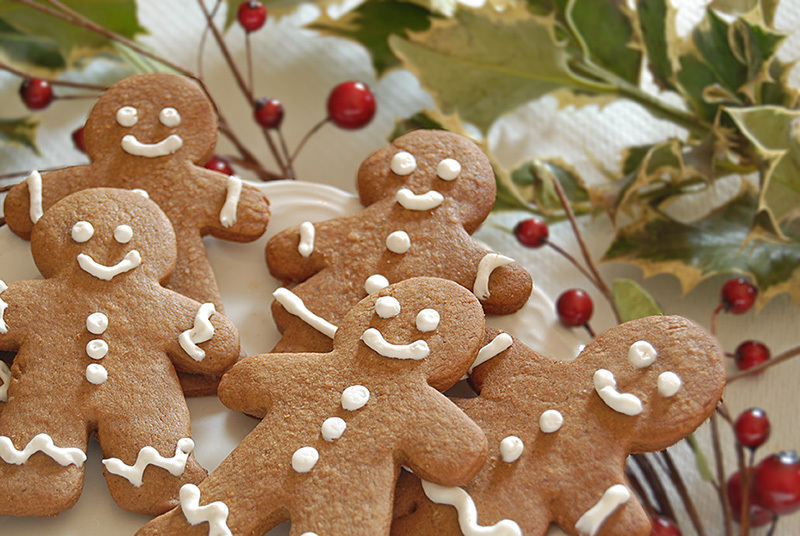 Whip up these holiday treats and be sure to decorate with red frosted eyes! 1. In a large bowl, sift together flour, baking soda, and spices. 2. Using an electric mixer cream the butter and add sugar and beat until fluffy. Mix in eggs and molasses. Gradually add the flour mixture. Divide dough into three equal portions and wrap each plastic. 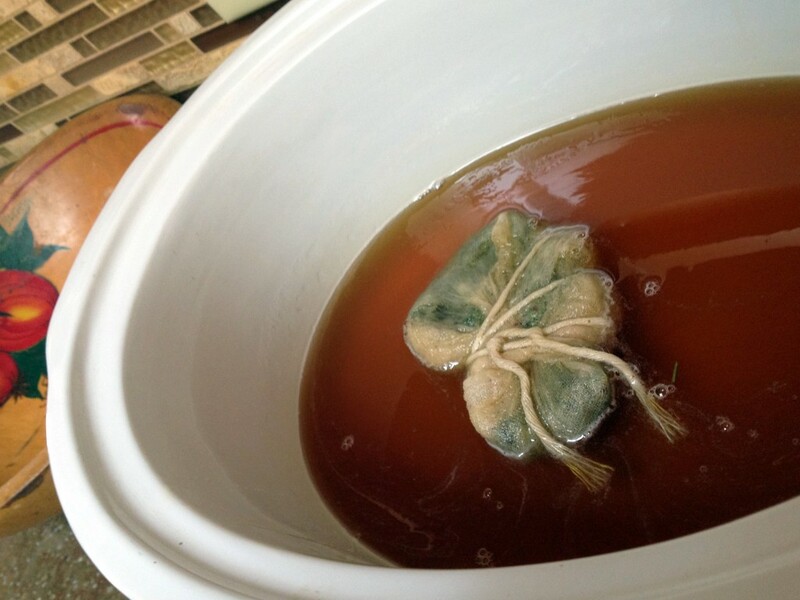 Chill for at least 1 hour or overnight. Before rolling, let sit at room temperature for 5-10 minutes. 3. Heat oven to 350°. 4. Place a portion of dough on a piece of lightly floured parchment paper. Roll dough 1/8 inch thick. Refrigerate again for 5-10 minutes to make it easier to cut out the cookies. 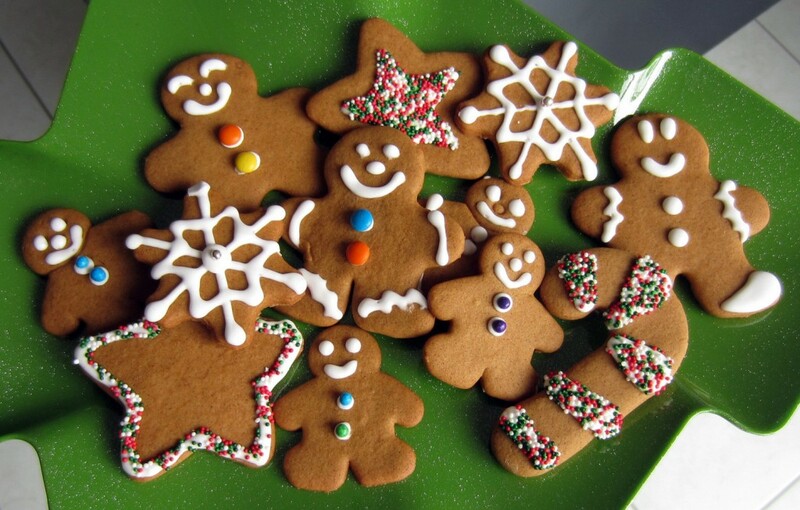 Use either a cookie cutter or place a stencil over the dough and use a knife to cut into little gingerbread men. 5. Move to ungreased baking sheets. Bake until crisp but not darkened, 8 to 10 minutes. Let sit a few minutes and then move cookies to a wire rack to cool completely. 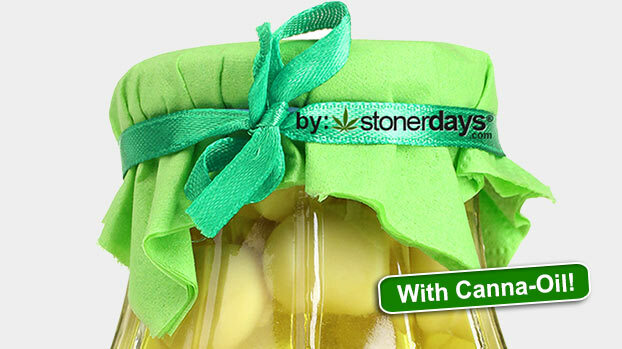 Though preparing marijuana butter can take an entire afternoon, you can store it for future projects. Even lazy stoners might want to take a stab at whipping up a batch of the THC-laden butter—it lasts a long time and can be used anywhere you’d use regular old butter. The possibilities are endless! 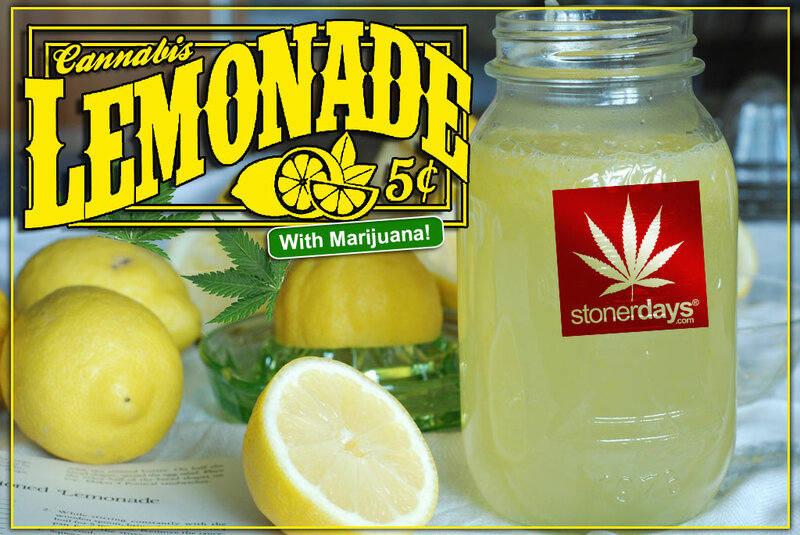 Put the water, marijuana, and butter into a large pot and bring to a boil. Reduce heat and let simmer up to five hours. Turn heat off and run the mixture through a fine metal strainer or cheesecloth into a bowl. 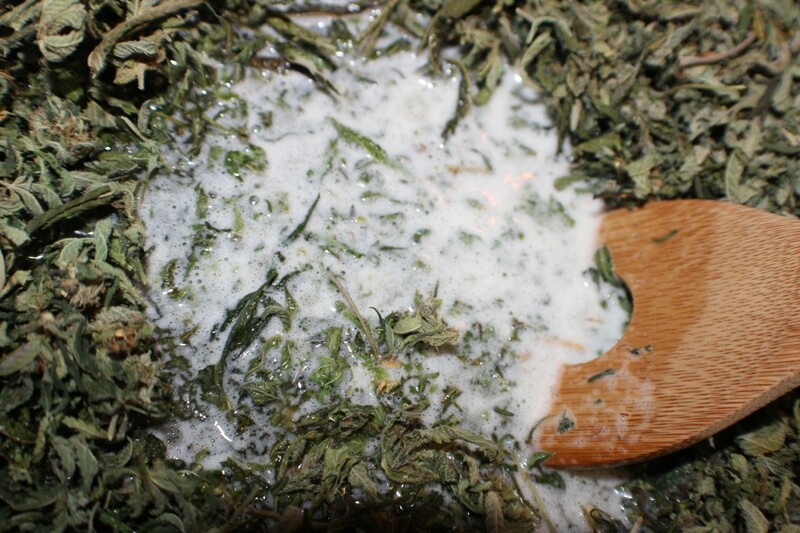 Squeeze cheesecloth to remove whatever butter you can from the marijuana. Discard the weed when you’re done. Put the bowl of hot water and butter in the fridge or freezer. When the butter hardens, dump out the water, microwave the butter a bit, and then transfer to a Tupperware container. The butter will keep for several weeks. That time of the year is here! Pumpkin Pie is one of my favorites and if you are anything like us your going to love this recipe. Your kitchen time will be about an hour and you should be able to serve 6-8 but that all depends on how you cut your pie. In a large bowl, combine the milk, eggs, molasses, cinnamon, nutmeg, vanilla, brown sugar, and pumpkin – mix well. Add the cannabutter to the mixture and stir to combine. Pour the mixture into the piecrust and bake the pie for 50 minutes. The pie is ready when the filling has settled. Enjoy! Who doesn’t love Pancakes? This is a great way to start your morning. You’ll need 20 mins for prep time and about 20 mins for cooking time so in all this shouldn’t take you more then an hour to make. Here’s what you’ll need. Beat egg, milk and oil or butter in a large bowl. Mix dry ingredients, then add to egg mixture and beat until smooth. Pour 1/3 cup of batter onto heated, greased frying pan for each pancake. When bubbles appear on top of pancakes, it should be ready to flip. You can add chocolate chips, nuts, fruits, berries or anything you like to this batter prior to cooking. With summer basically here, people are spending a lot of time outside. Which is definitely a good thing, as most of us have been seriously deprived of Vitamin D for the past few months. So hiking, kayaking, running, or whatever other outdoor activities people enjoy are at the top of everyone’s list of things to do… But it’s also important to stay healthy and stoned, right? 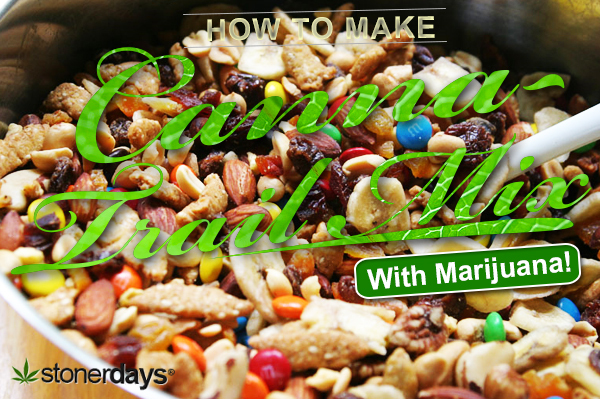 The following recipe will teach any stoner how to make a delicious trail mix blend that will keep you full, medicated, and healthy this summer while you’re out enjoying yourself! 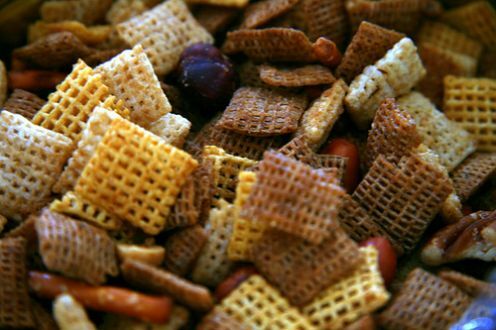 Start off by preheating your oven to 350 degrees and combining both the Chex cereal and the pretzels in a large mixing bowl and stir them together. Then, in a medium saucepan begin to melt the cannabutter and when it’s melted, stir in the garlic powder, salt, and Worcestershire sauce. 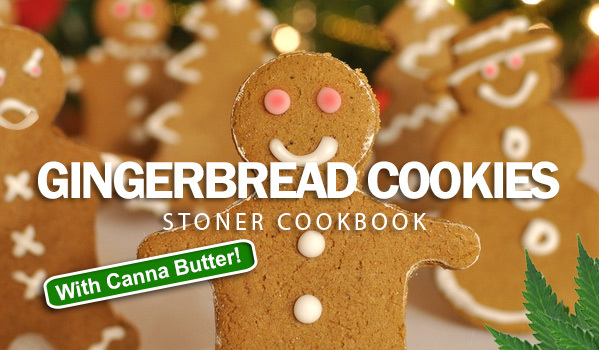 While that simmers (as always, never boil the cannabutter or you’ll lose the THC), spread the cereal and pretzels mix on a cookie sheet and pour half of the butter mix over them using a spatula and spoon. Toss the remaining butter mixture well while you bake the trail mix on the cookie sheet for five minutes. When the five minutes is up, repeat the previous step, pouring the butter over the cookie sheet. 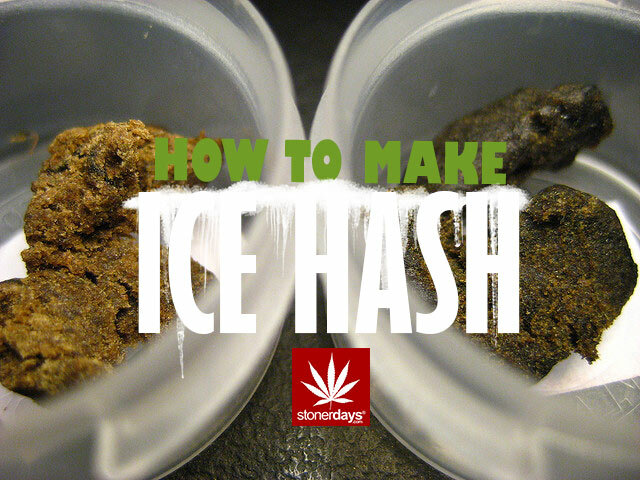 Let the mix cool and then sprinkle some crushed cannabis over the top and toss it together. Once you do that, your trail mix is ready to be packaged up and enjoyed! Taffy is one of the best candies that one could hope to have, especially in the summer. For some reason, it just reminds me of the beach and of barbecues and genuine good times. So I figured that with the approaching summer months, making some taffy might be a good idea! And, as always, you know that anything made in my kitchen absolutely has to be medicated! This recipe is super easy and simple so pretty much anyone can get it done! Set up a double boiler (take a large mason jar and a large saucepan and fill the pan about half way with water). Take your coconut oil and chips and add them to the mason jar, letting the chips slowly melt. 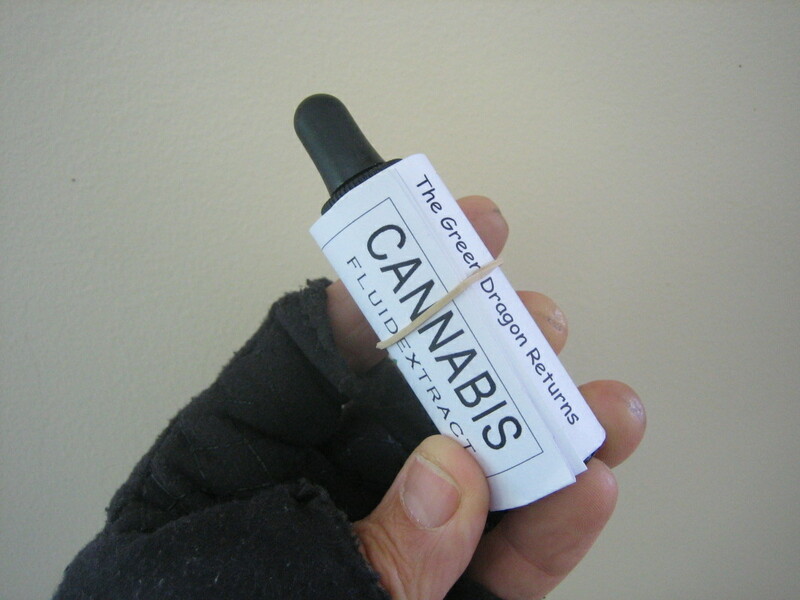 It’s important to do this slowly so that you won’t lose any THC from the oil or butter that you’re using. 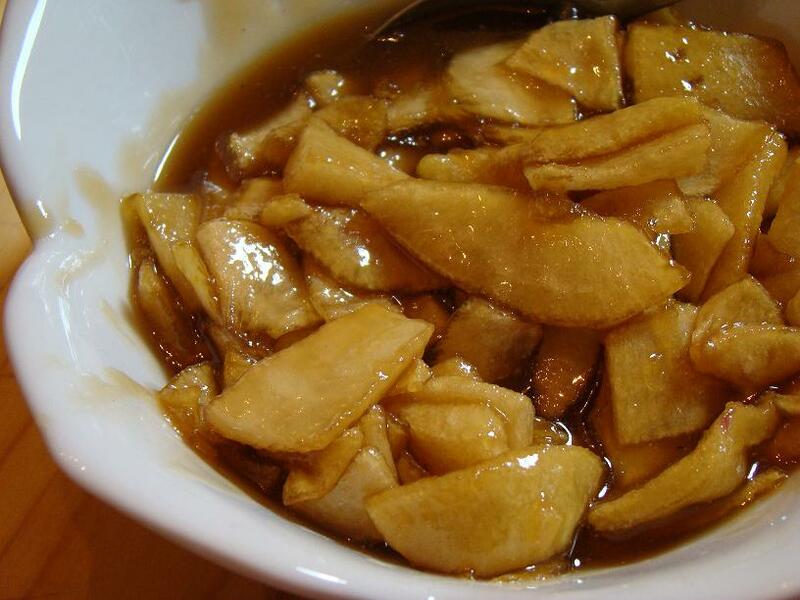 Once the chips are melted, add in your Karo syrup. Be sure that everything is mixed (once the chips have melted fully, you can move the mixture to a bowl but you have to be quick because the liquid solidifies quickly once the heat source is removed) and then pour the mixture in to a saran-wrap lined 8×8 pan. Be sure that the saran-wrap covers the sides of the pan that you’re using so that the candy doesn’t stick. The wrap should overhang far enough that you can now wrap the top of the saran-wrap over the candy, fully covering it. Let the candy sit out overnight. 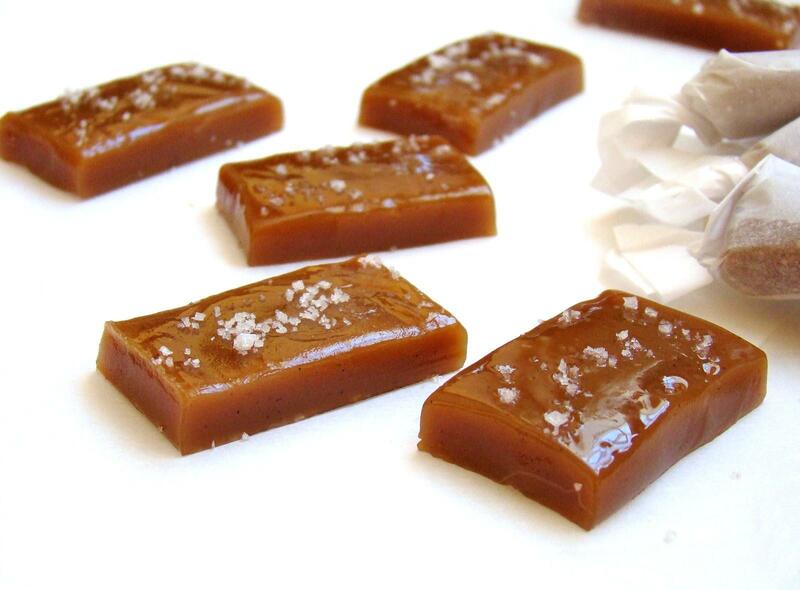 The following day, the candy should have hardened in to a taffy like substance, not too hard but not too soft. If the mixture hasn’t gained the correct consistency, continue to let it sit out until it does. Once the mix has the taffy consistency that we all love, you can cut it in to pieces and wrap them individually in wax or cellophane. Give them out as treats or hoard them all for yourself! Either way, enjoy your awesome taffy candy! If you were looking for the perfect game-day snack to serve to all your pals, then search no more! This nacho cheese is creamy cheesy bliss and when the high kicks in while the game’s on it won’t matter if your team wins or not, either way you’ll be happy dipping crunchy chips into this dip again and again. 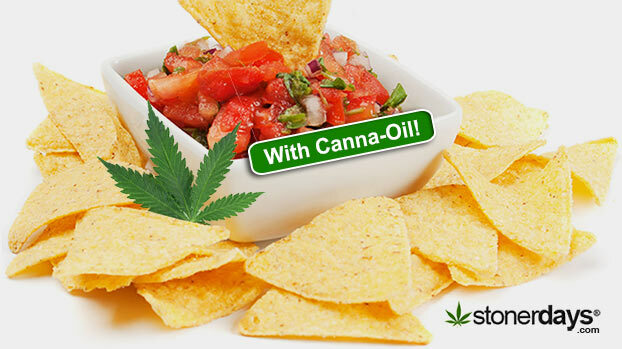 Both canna-butter and canna olive oil can be used in this dip so be prepared for some pretty potent bites. 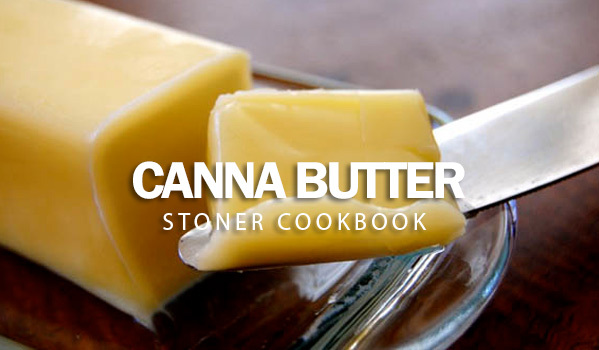 Grab a saucepan and melt down the canna-butter on low heat. Once it’s melted pour in the canna-flour slowly while lightly stirring it with a wire whisk until it’s good and mixed in. Now add the milk while simultaneously stiring until it thickens. Now add the chedder cheese and salt whille still mixing everything together until the cheese is fully melted and everything is combined. 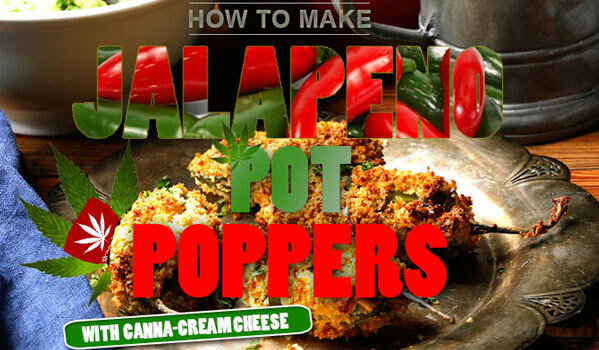 If you choose to use the Optional Spice , cut the maters and jalapeno chili into small squares and stir into cheese. Pour into a dish of your choice, grab the chips, and find the best spot on the couch because you’re in the zone. 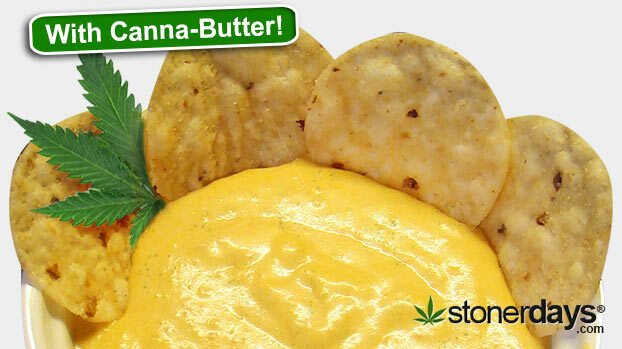 Nice, you just learned How to make Nacho Cheese with Marijuana! Liked this article? Check out our stoner dictionary! For Stoners. By Stoners. In the spirit of St Patrick’s Day, making everything that we eat/use/interact with green is kind of part of the holiday. What better way to wake up on a holiday like this then with a medicated breakfast of green eggs and ham? The following recipe will not only give you weed infused eggs and ham but they’re actually green as well, making them the perfect breakfast for a festive stoner. 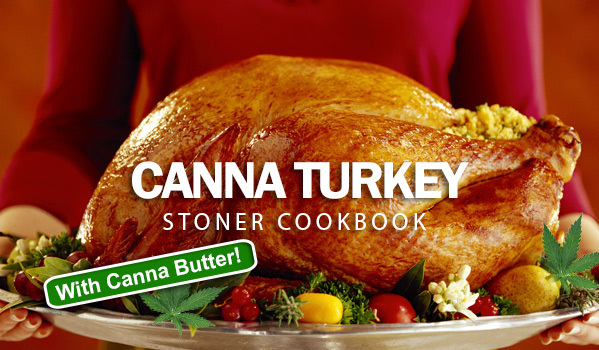 Begin by placing the cannabutter (or regular butter) and the ham in a larger frying pan. Take the eggs that you have ready and crack them in to a mixing bowl, making sure to whisk them together well, so that all of the yolks are broken. 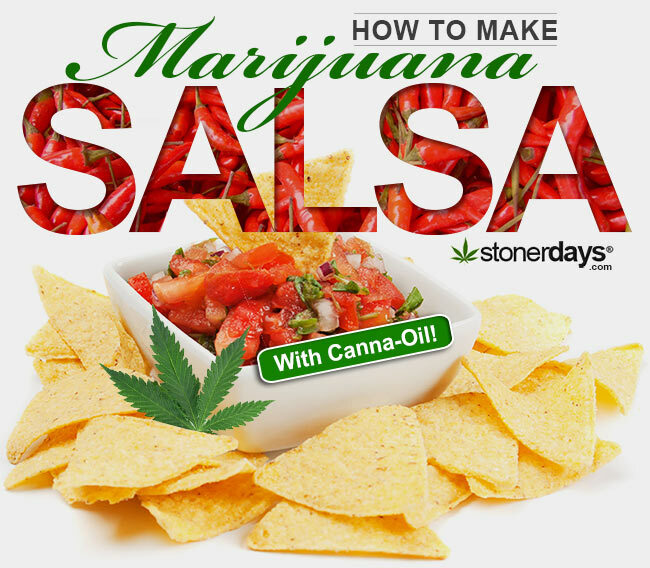 Grind up your marijuana very fine (it’s a good idea to use a coffee grinder and to be sure that your weed is incredibly dry) and add it in to your eggs. This is also where you add in your food coloring, making the eggs green in two different ways. 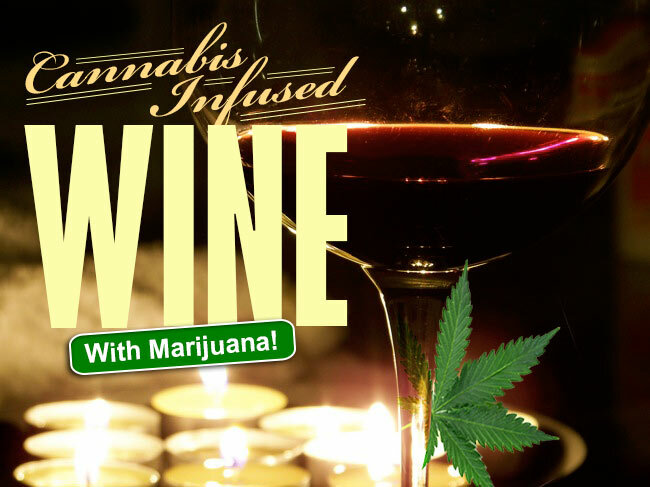 By the time you finish mixing together your marijuana/egg/food coloring mix, the ham that’s been cooking should be done. Remember to keep an eye on it while mixing up the eggs as well, to make sure that it doesn’t burn. When the ham has finished cooking to your liking, pour the eggs over the ham in the frying pan. Continue to cook the eggs and ham together until the eggs are scrambled (it shouldn’t take too long). 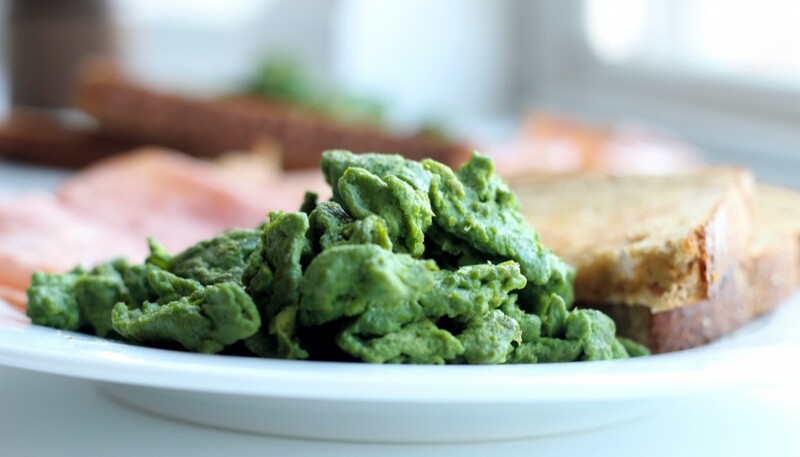 Serve up your green eggs and ham with some toast (preferably with medicated butter or jelly on top!) and enjoy your holiday! One of my good friends sent me this recipe and it looks really delicious actually. I don’t tend to like hummus but I would definitely recommend trying this recipe out if you’re looking for something new to try. Not only that but hummus has amazing health benefits, including high amounts of fiber and protein. Since hummus also contains beans, hummus has the potential to lower cholesterol and reduce the risk of cancer. 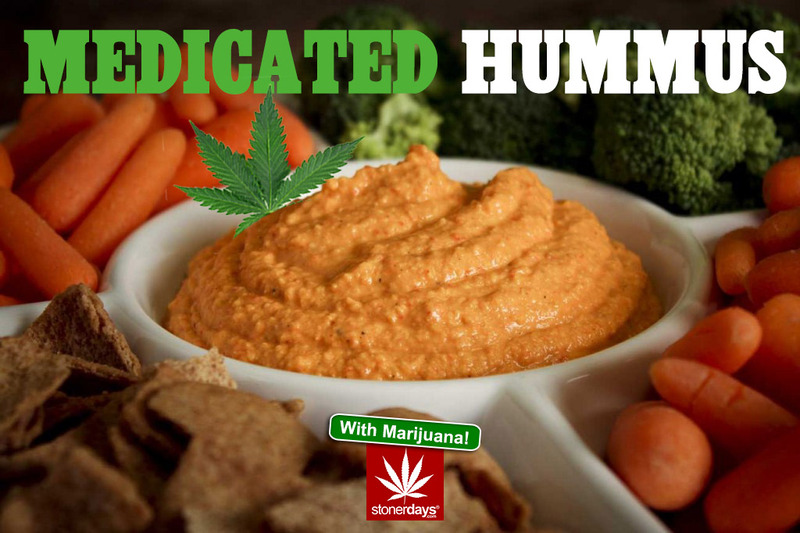 If you’re looking for a new healthy sandwich spread or chip dip, give this hummus a shot (it’ll also get you stoned so if it doesn’t taste that great, at least it’ll have a good effect). 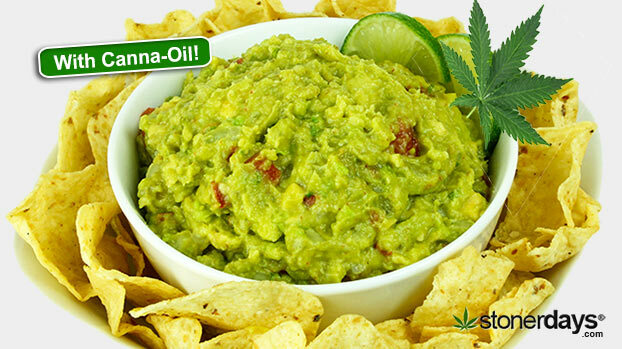 Since this recipe is designed to be pretty stoney, your first step is to heat up your THC oil in a medium sized pan over low heat. Add in your keif as well and let it simmer. 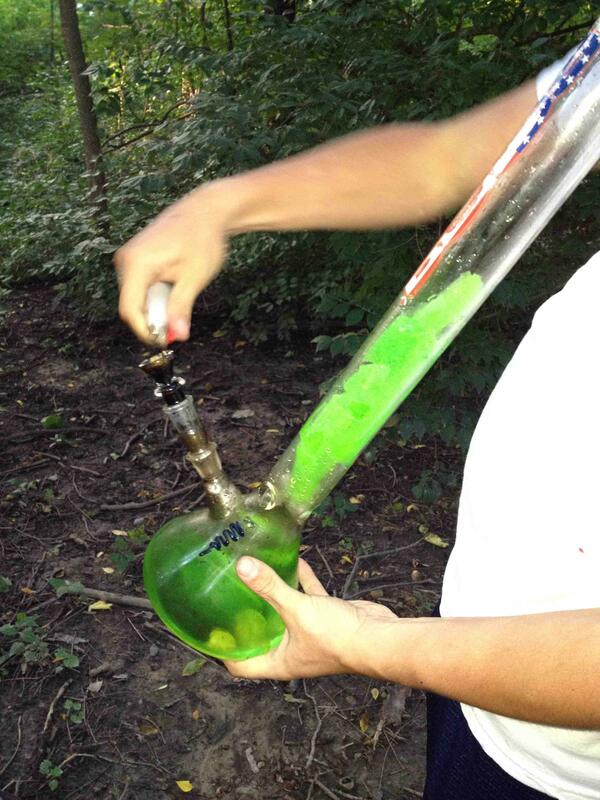 Never let the mixture boil, as you’ll lose precious THC to the heat. Allow to simmer for about ten minutes, stirring constantly and keeping an eye on it. 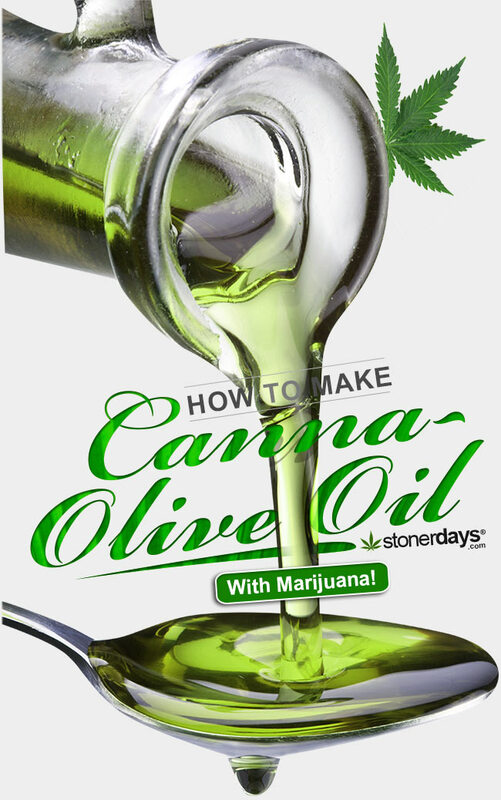 You can add more keif in if you want or if you’d prefer a less strong end result, you can substitute normal olive oil for the THC oil. Remember that eating you cannabis effects you differently then smoking it and you should know your tolerance before making your edibles too strong. Then, take the tahini, garlic, lemon juice, beans, and cumin to a food processor and grind everything in to a paste. Then, slowly add in your oil, blending the mixture occasionally. Once you’ve added your satisfactory amount of THC oil, you can top the hummus with salt and pepper to taste if you’d like. 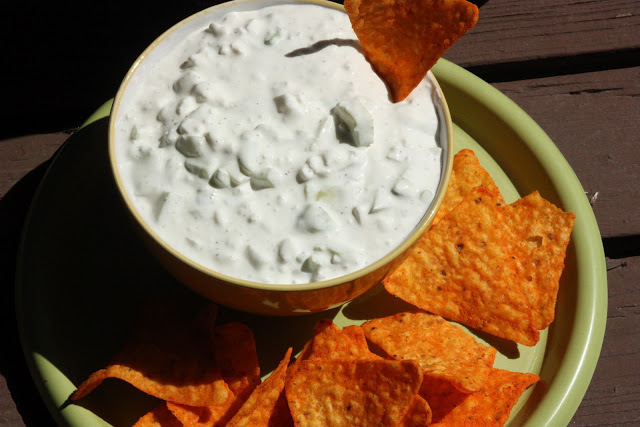 This delicious and healthy snack is great for pita dipping, chips, or to take the place of mayonnaise in sandwiches. You’ll get a much more intense flavor without the added fat. Enjoy your hummus! Healthy eating is important in the life of a stoner! 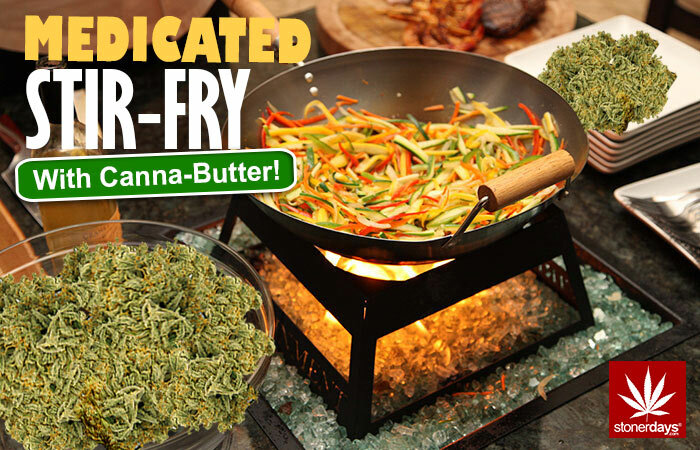 Stir fry has always been a favorite of mine and now you can make it medicated! It’s a far cry from the food we made in Home Ec in middle school but it tastes even better, now that we’re old enough not to burn the veggies to the pan. 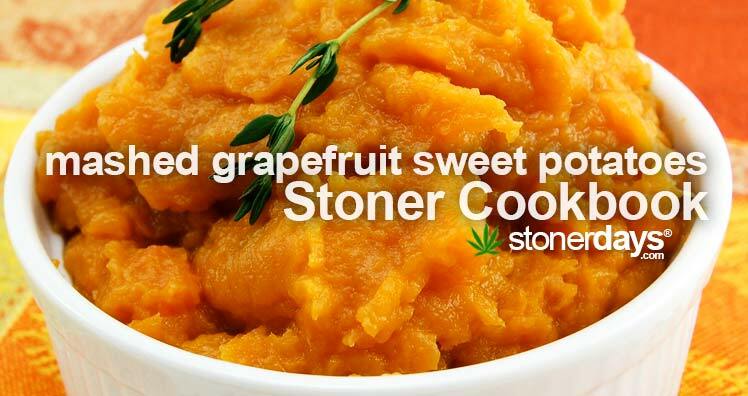 You can add in veggies or meats if you feel like it and of course, more bud if you feel inclined. 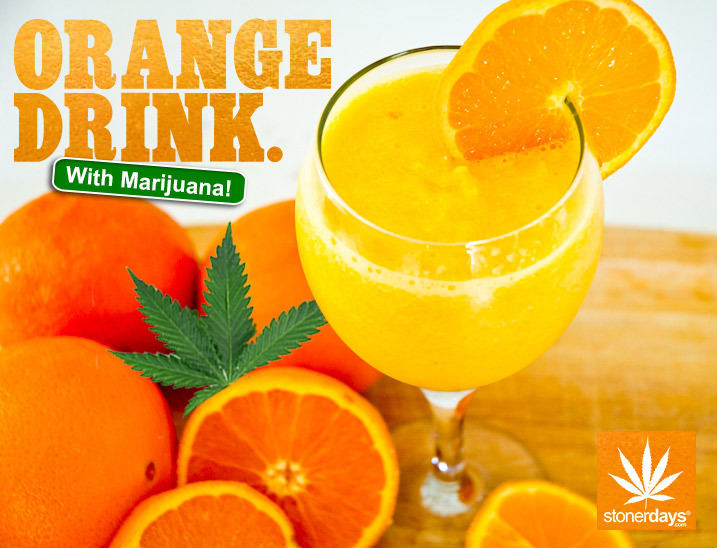 Just always remember that eating cannabis is much different than smoking cannabis and you should always know your tolerance before eating too much! First, take the three peppers and cut them in to strips, about 1/2 inch wide and the proceed to chop the onion in to small pieces. Put all of the veggies (and meats if you so choose) in to a skillet and add in your Cannabutter. 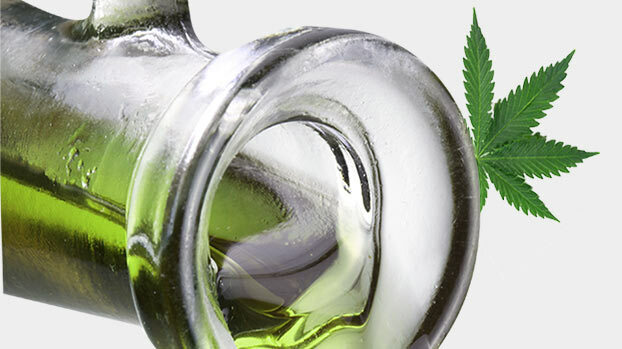 You can replace the butter with cannabis infused olive oil, as well, if you want to be a little more health conscious. Sauté everything until cooked well and then serve the mix over rice or noodles or alone if you’d like. As for the leftover oil in the pan, you can pour it over the rice/veggie/meat mix to ensure that you get the most out of your meal! 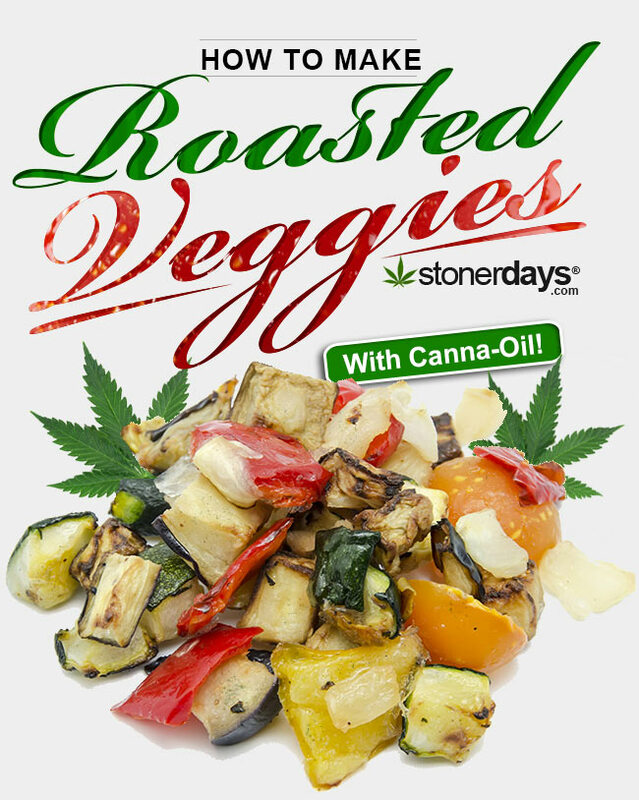 Enjoy your medicated stir fry! With such an awesome title, how can you not be intrigued as to how to make this amazing holiday treat? 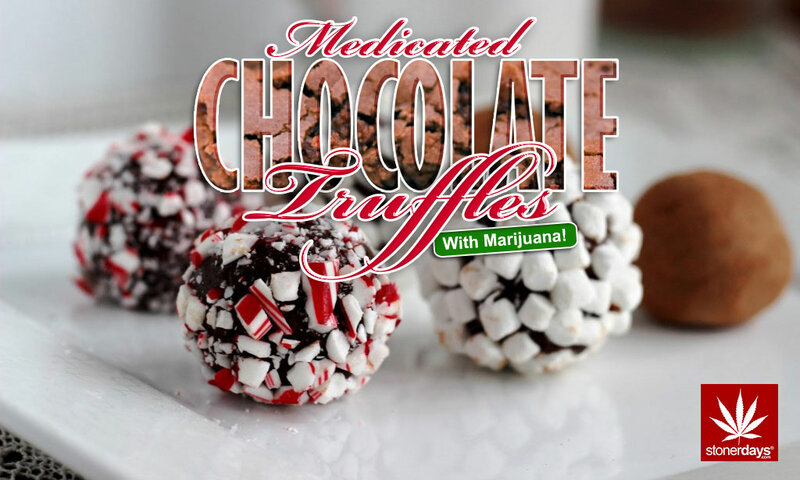 It’s medicated, delicious, and can make the perfect addition to a holiday party or as a present. These cookies are your normal medicated chocolate chip cookies but with a twist! Theres vanilla pudding added in as well, giving these cookies a different taste then what most people are used to. 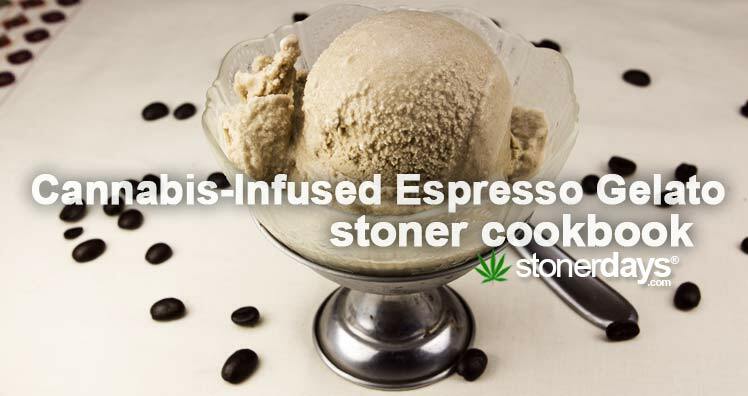 This will definitely give you the upper hand at winning who makes the best cannabis cookies! As always, you first preheat the oven. This recipe calls for the oven to be set to 375 degrees. 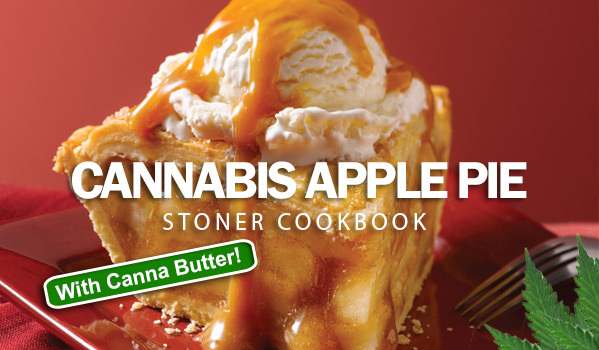 Grab a mixing bowl and mix in your sugars and the cannabutter, mixing them together well. Add in your eggs, pudding mix, and vanilla. Stir everything together until the mixture is creamy. Mix together the flour and baking soda and gradually add in to the mixing bowl. Stir everything together well (use a mixer if it makes you more comfortable). Then, proceed to stir in the chocolate chips. 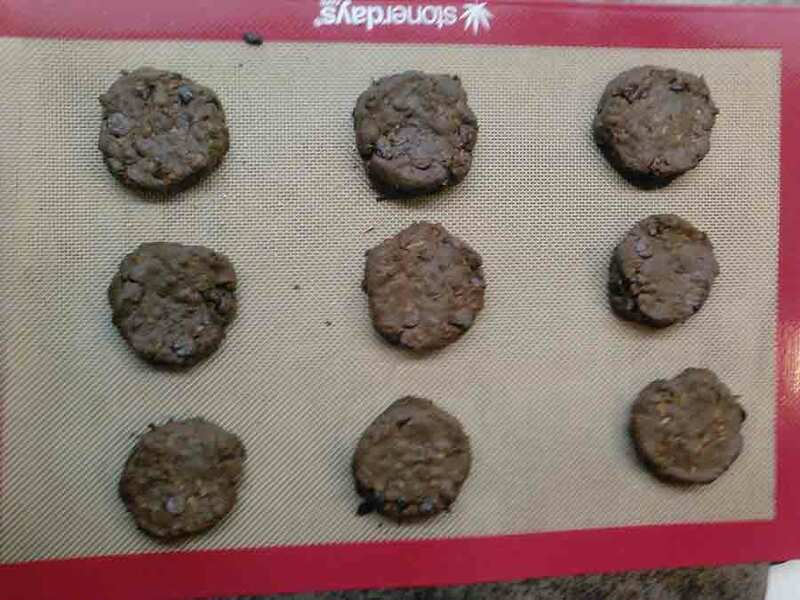 Measuring them out by the teaspoonful, place the cookies on to an ungreased baking sheet (Or you can grease it with some cannabutter to give the cookies an even stronger effect). Bake the cookies in the preheated oven for about 11 minutes or until they are lightly browned. Allow the cookies to cool before serving and enjoy your new twist on an old favorite! Hempseed milk is an incredible health benefit. It contains 10 of the essential amino acids. There’s actually an amino acid in hemp that’s only found in this particular plant, something called Edestin. Hemp is also incredibly easy for your body to digest, making it extremely simple for you to get the nutrients that you need. Without requiring a lot of energy to digest, plus it’s amazing health benefits, makes hemp something that every one should be including in their diet at least three times a week. 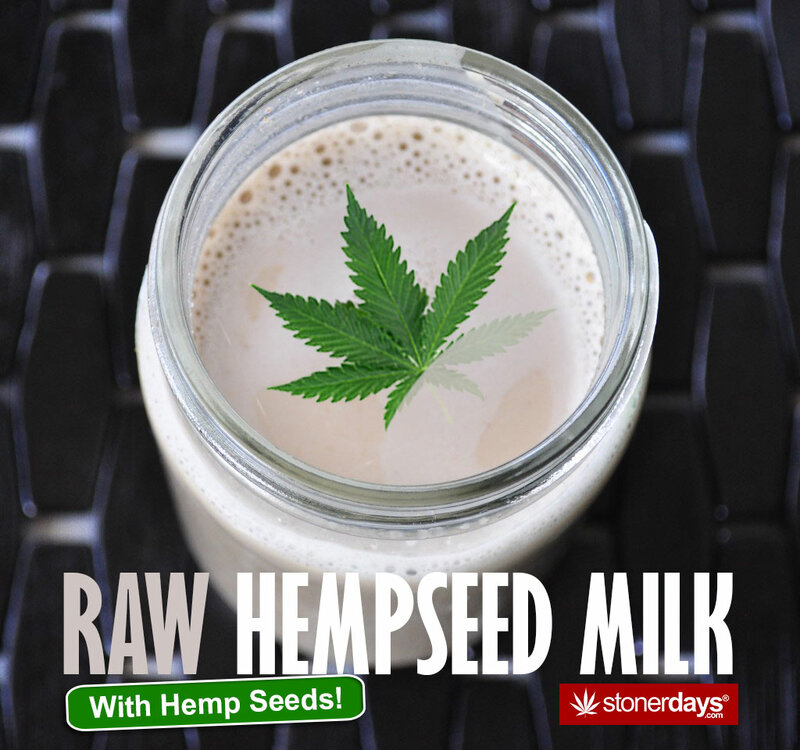 This recipe will let you make your own raw hempseed milk in a few minutes, without having to soak the seeds. Take all of the ingredients and add them in to your juicer. Start blending them at a slow speed and the increase to high speed for around a minute. You can sweeten the milk to taste if you desire and can make the milk richer by adding the lecithin and the coconut butter. Drinking the milk unstrained hold the most nutritional value but if you prefer a smooth milk, you can strain out the mix with a nut bag, an item that you can find at a health food store or online. Always be sure to wash the bag before using it with something you plan to ingest. Strain the milk like you would a tincture or butter. Store the milk in a sealed glass jar (Mason jars work best!) in the fridge. Also, if you do plan on straining the milk, you can save what gets taken out of the mix and dry it. Store this mixture to use in edibles later! It’s always nice to have a recipe that reuses ingredients more than once, making sure to get as much benefit as possible from everything. This milk can also be flavored with all kinds of natural flavors! For this season, cinnamon would be absolutely perfect. Of course, try out a bunch and pick your favorite! Enjoy your healthy, delicious hempseed milk! This recipe sounds absolutely incredible. 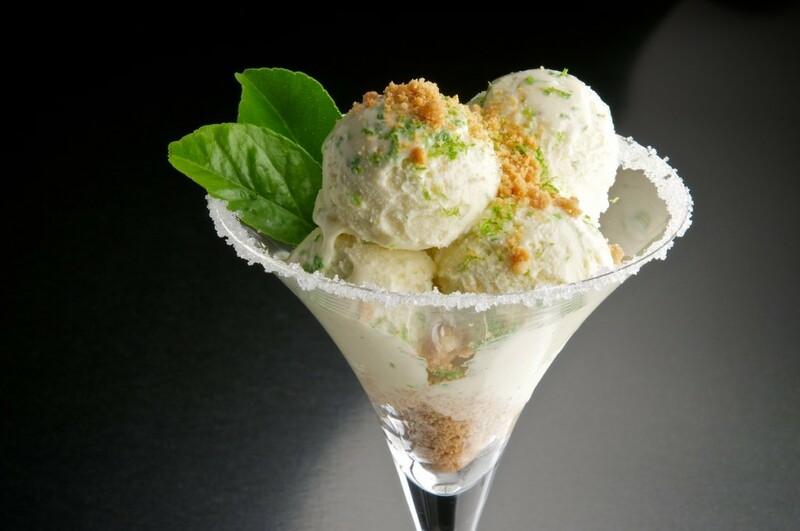 With the holidays fast approaching, making desserts should be number one on people’s list of things to do. A holiday dinner isn’t complete without desserts, right? 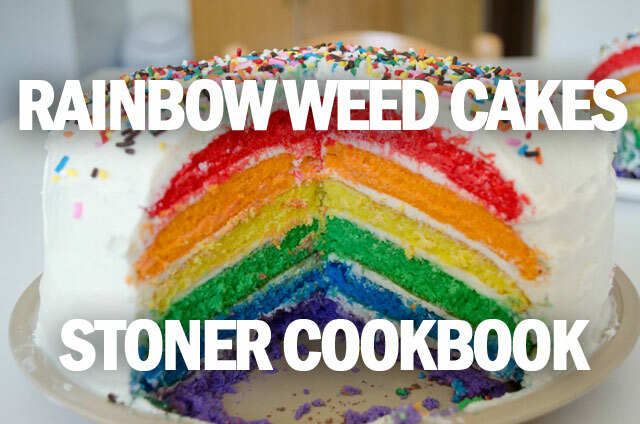 If you show up to dinner with this cake, or just plan on making it for yourself (you know, since it’s medicated), you’re sure to enjoy it. First, as always, preheat your oven to 350 degrees and be sure to put a center rack in the oven. Grease a 10x3in Bundt pan and sprinkle flour all over it. This will prevent the cake from sticking to the inside of the pan once it’s finished. You don’t want the cake to get stuck. 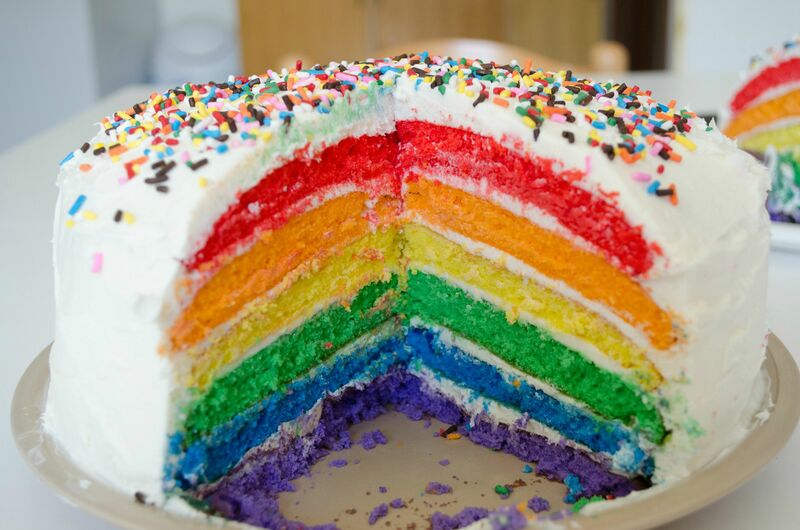 It’ll make a mess and you will ruin your cake. It is also important that you leave all of your ingredients sitting out at room temp for at least 40 minutes before you start baking. This includes the eggs, buttermilk, and butter. So your oven should be preheating. Sift together the baking soda, salt, flour, and baking powder. Set these items aside. In a different bowl, use an electric mixer to beat the butter for about 45 seconds. 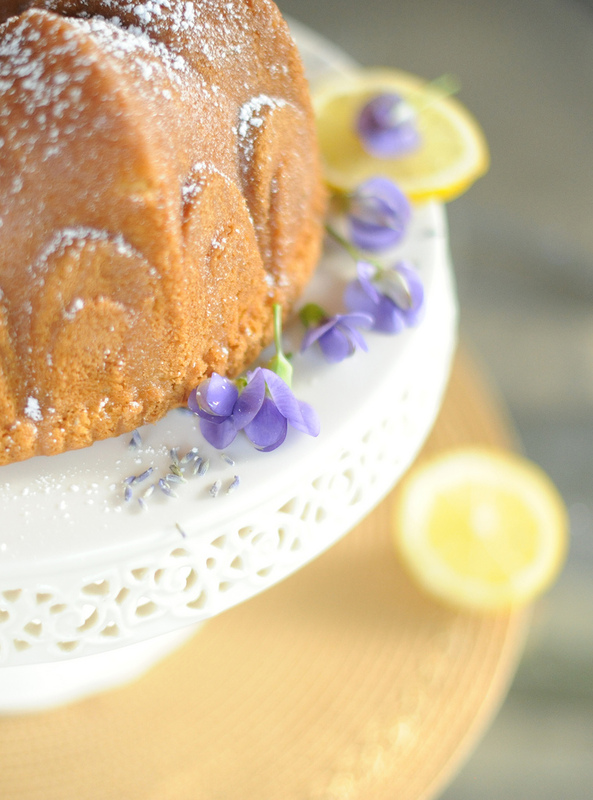 Add in your lavender flowers and sugar in a consistent stream. Be sure to pause and scrape the side of the bowl to make sure that everything is getting mixed in. Beat everything together on medium power until the substance is fluffy and light. Then, keeping the mixer on medium speed, add in the eggs, beating steadily until everything is combined. Lower the power of the mixer and add in 1 cup of flower, constantly beating, then add 1/2 cup of buttermilk, beating again to make sure that everything is mixing together well. Add in another cup of flour, beating, and then add in the last of the buttermilk, continuously beating. Then add in the remaining flour, pouring it slowly. Continue to beat until the mixture is mixed together well. 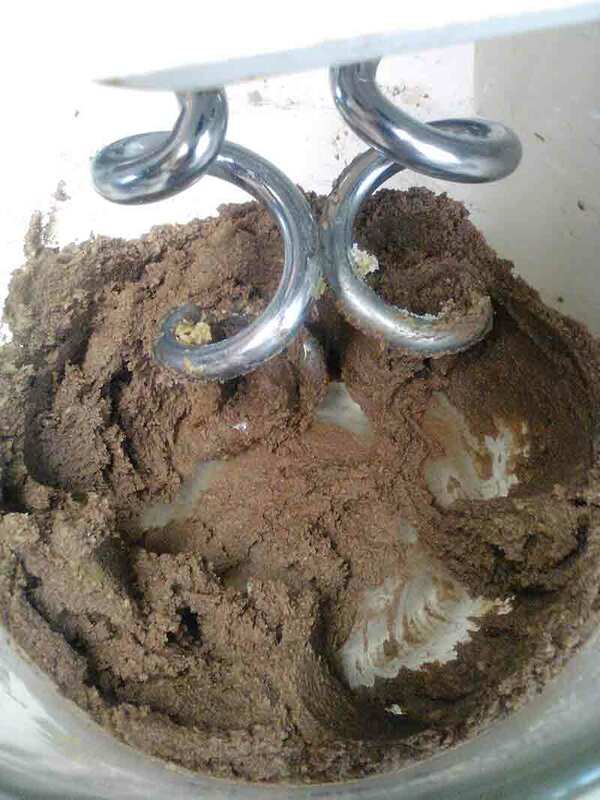 Remember to get the mix that gets stuck up on the side of the bowl. Grab a stirring instrument and put the beater down. Stir in the lemon juice and lemon zest. Take the mixture and slowly pour it in to the previously greased pan until the pan is three quarters full. Make sure that the batter is even in the pan. Toss the cake in to the oven and leave it in there for 60-65 minutes. Test the center of the cake with a toothpick. The pick should come out completely clean and that’s how you’ll know the cake is finished. Remove the cake once you get the clean toothpick and let it cool for about a half an hour. Your cake is done and ready to be enjoyed! There’s so many stoners that love to wake and bake. The only thing that can be added to an awesome morning smoke session to make it better is coffee. Stoners love their coffee. What happens if you’re rushing though and you have to make a choice? Not anymore. 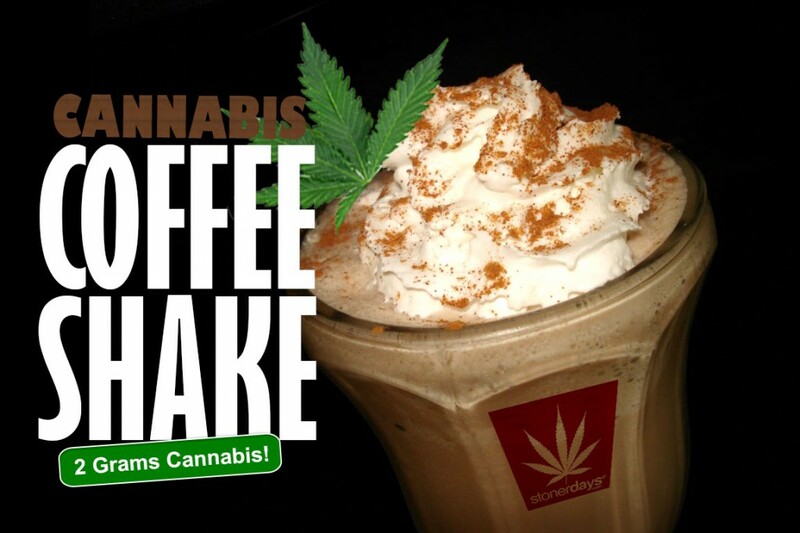 Following this short recipe will provide you with the most delicious medicated coffee drink for those busy days! 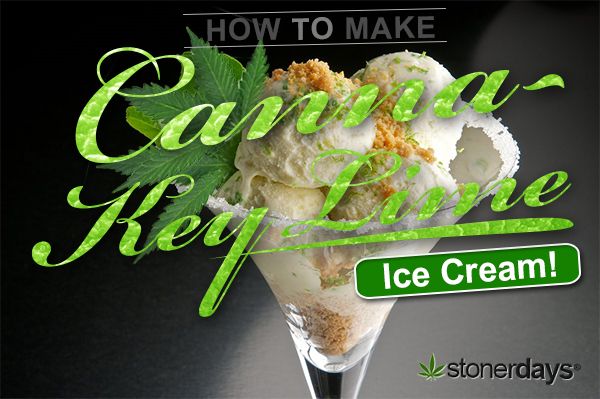 This recipe is best used if you can plan ahead, as the cannabis should sit in milk overnight. The fat in the milk draws out the THC so you get the best high possible. 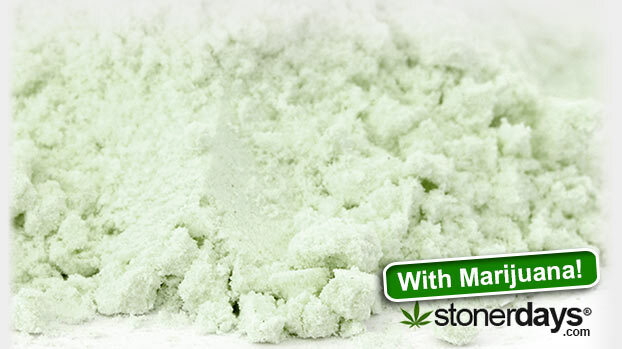 Grind the cannabis up in to a fine powder before adding it to the milk. In the morning, take the milk, ice cream, vanilla, and coffee in a blender. Blend the mixture until it’s creamy and smooth. It also happens that the instant coffee in this recipe can be replaced with hot chocolate mix. Use the same amount of chocolate as you would with coffee. You now have a chocolate medicated shake, with no coffee, if that’s what you prefer! 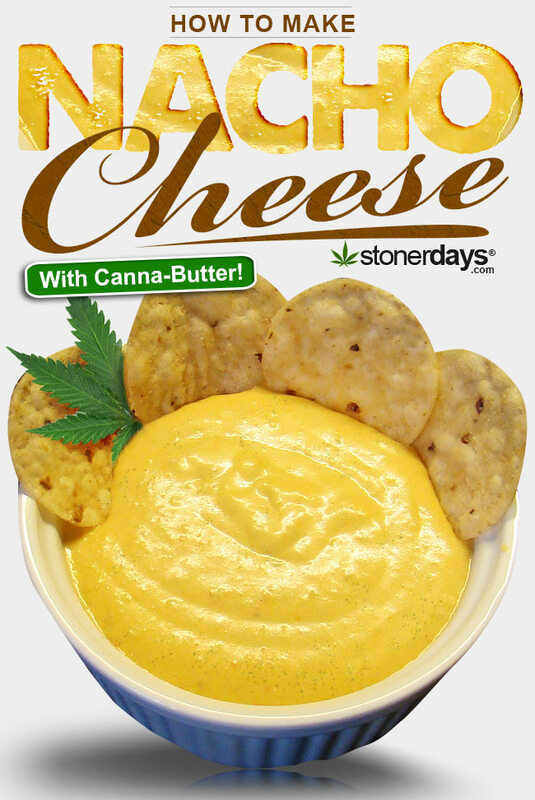 Snacks are the best thing to make containing cannabis. 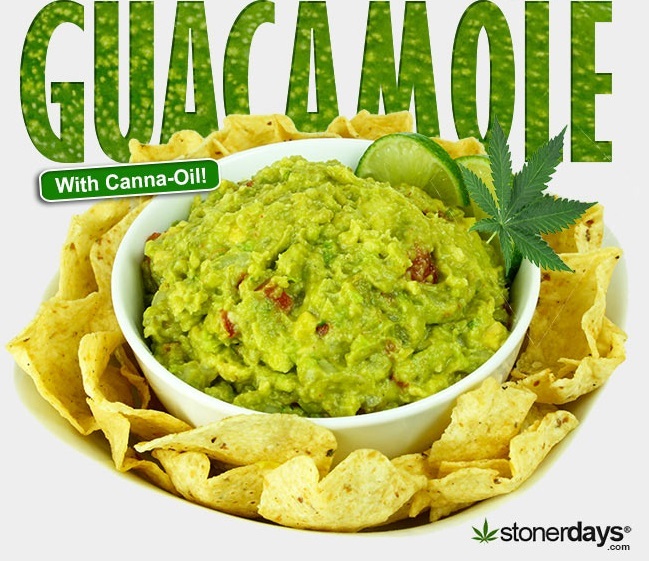 Not only are you getting high but you’re curing the munchies at the same time. By eating weed, you save time and manage to not eat as much because you’re already full! 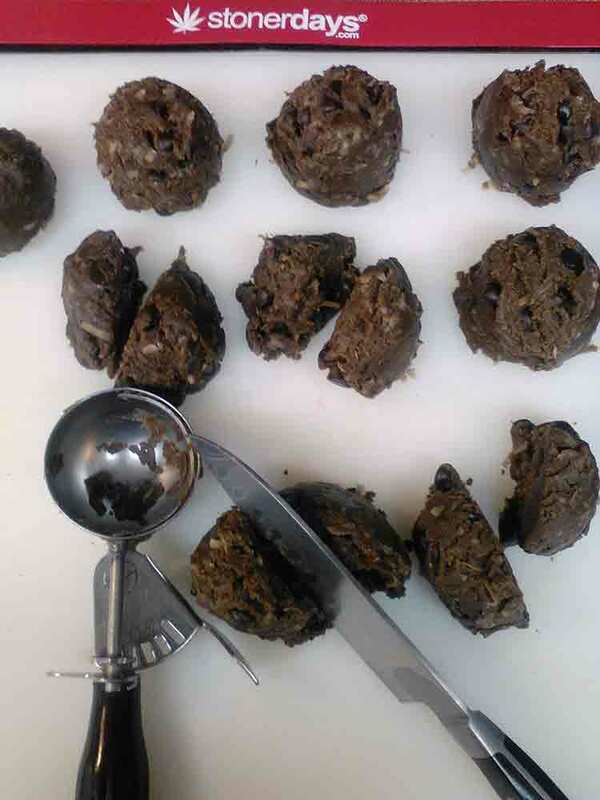 This recipe for Canna Goo Balls is absolutely amazing. You’re missing out if you don’t give this recipe a try! First, melt the cannabutter in the microwave. Do this in short increments. 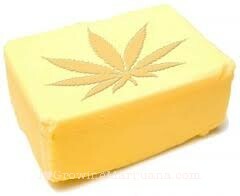 If the butter is exposed to too much heat, some of the THC will escape and the butter won’t be as potent. While you’re melting the butter, combine the peanut butter, oats, cinnamon, cocoa, and honey in a larger bowl. Once the butter has completely melted, add it to the bigger bowl and stir everything together. This recipe is super simple and the only other step that you need to take is putting them in the freezer. You have two choices. You can put the whole bowl in the freezer and let them freeze in a large mass. This method is good if you prefer to eat ice cream right out of the tub. Just make sure that you have a good container that seals well. The other way that you can go about this is to roll the mixture in to small balls and freeze them that way. 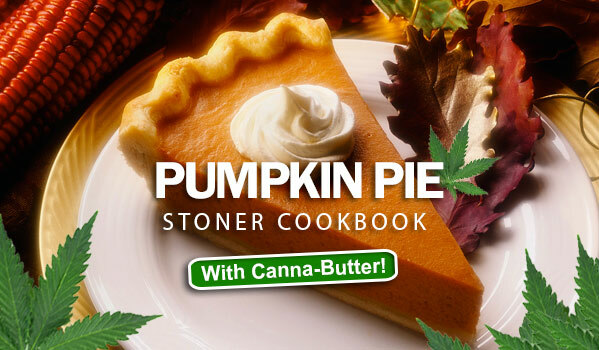 Whichever method you choose, this treat will cure hunger and get you baked! 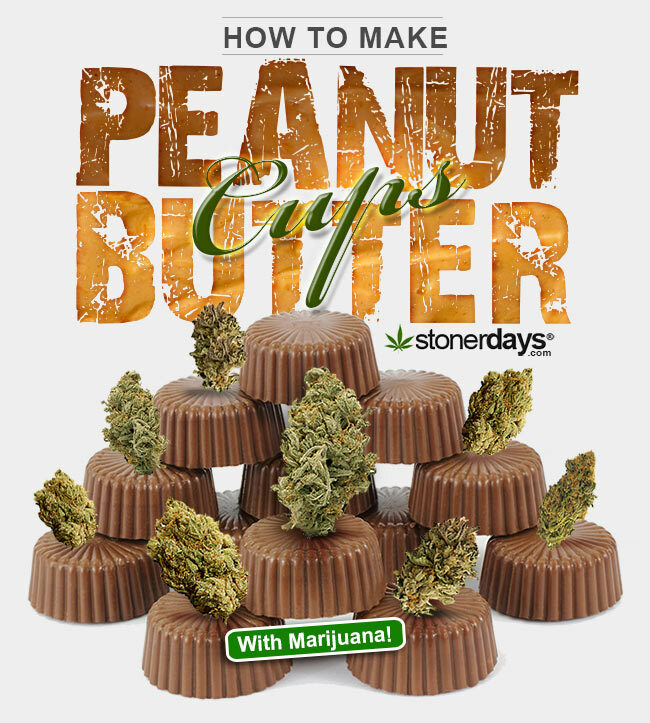 Edibles are always a favorite of stoners everywhere Even better when you can make them yourself! After assembling your materials, put your cannabis butter on low (REALLY LOW) heat on the stove the melt it. 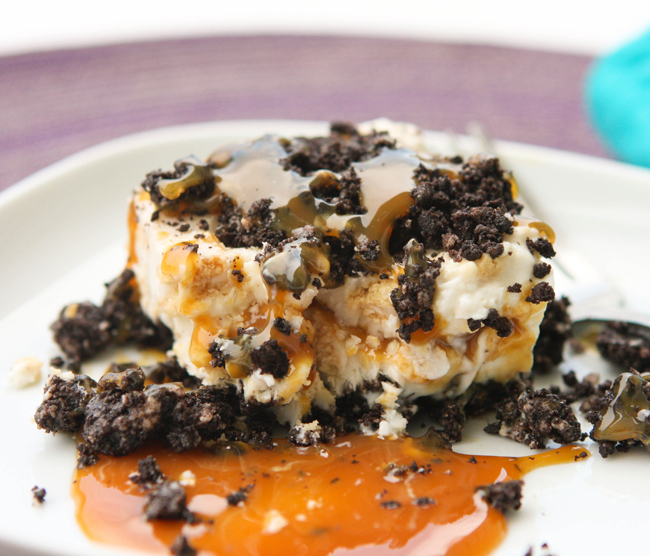 Take half of your Oreos and crush them up with the half of the Heath bars and add them to the butter. Put the other half of the crumbs on the inside of a 9×13 pan. 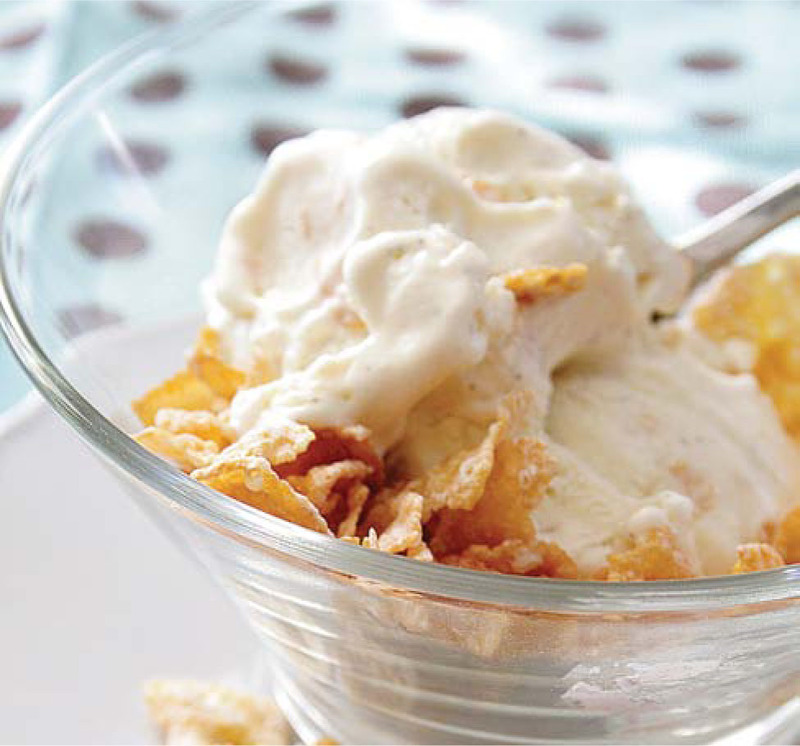 Cover the crumbs as best as you can with the 1/2 gallon of ice cream. Then, take the butter and crumb mix and coat the top of the ice cream. Take your favorite flavor of syrup and cover the top layer. Stick this whole pan in the freezer and let it freeze. 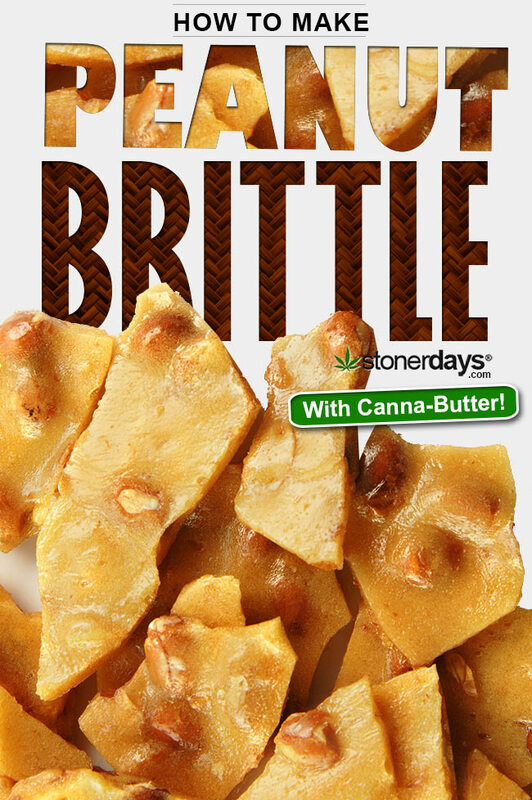 After a few hours, you’ll have a dank treat that will get you extremely baked… And taste so good! These treats make a great party favor or possibly just something for a hot summer night. Making delicious edibles is also a great way to impress your friends. 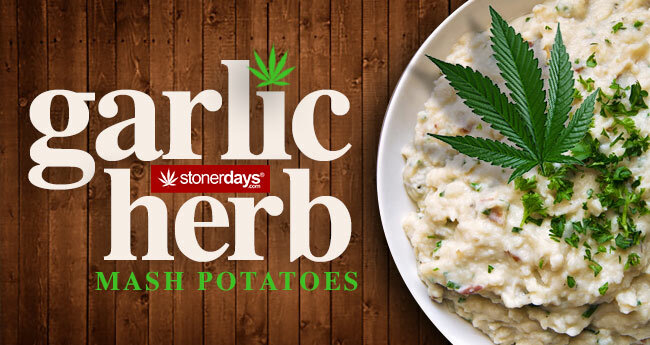 A good marijuana cook can make the best dishes “special”. Your friends are sure to always come to you if they want some dank goodies. Who knows, if you’re good enough at baking them, maybe you can start your own edibles business! 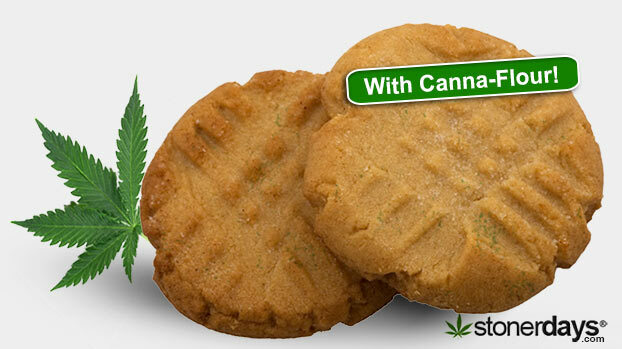 Not only are edibles a strong high, they’re a great way to medicate for patients that can’t smoke. I don’t know about any of you stoners out there but I personally love Goldfish. I really just love snacks. 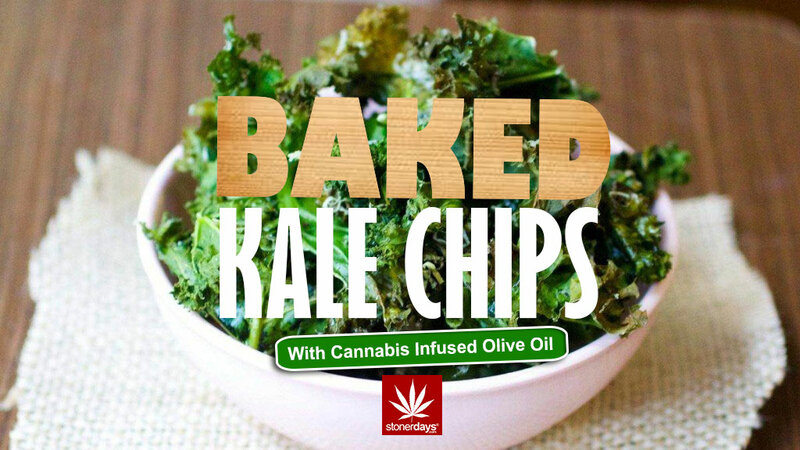 I also love the fact that not only are stoners incredibly brilliant when it come to making snacks, but the recipes always seem to be so simple that everyone can try them in the comfort of their own home. 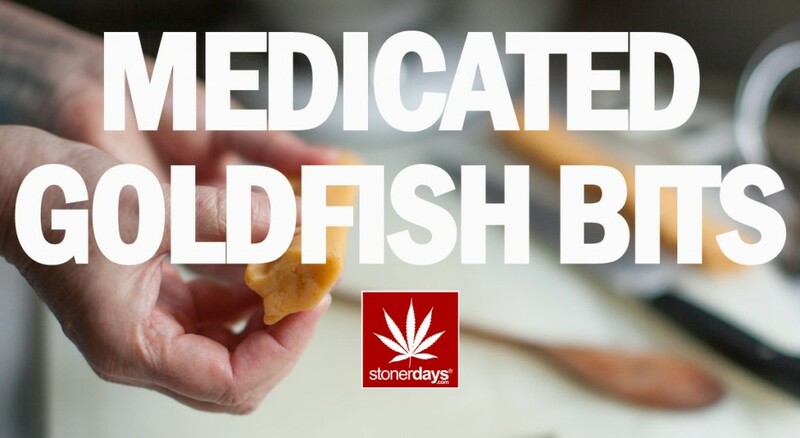 The following recipe will not only let you make your own Goldfish snacks but they’re medicated. 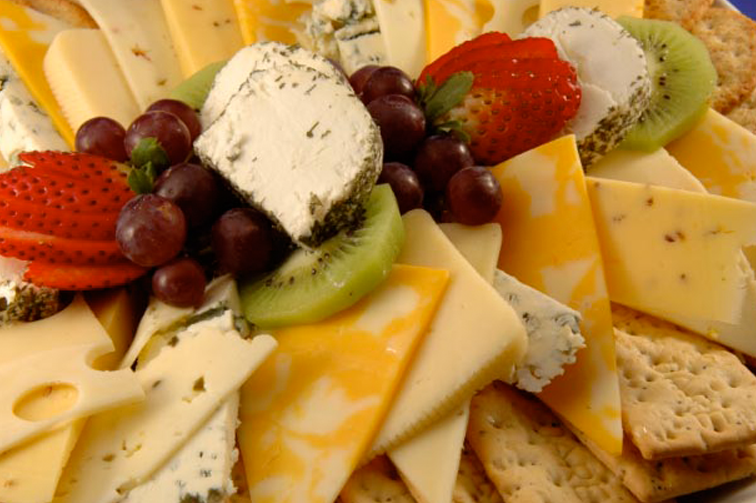 These make perfect solo snacks or (since they’re moldable), for parties. Trust me, these little crackers look really good on a plate. 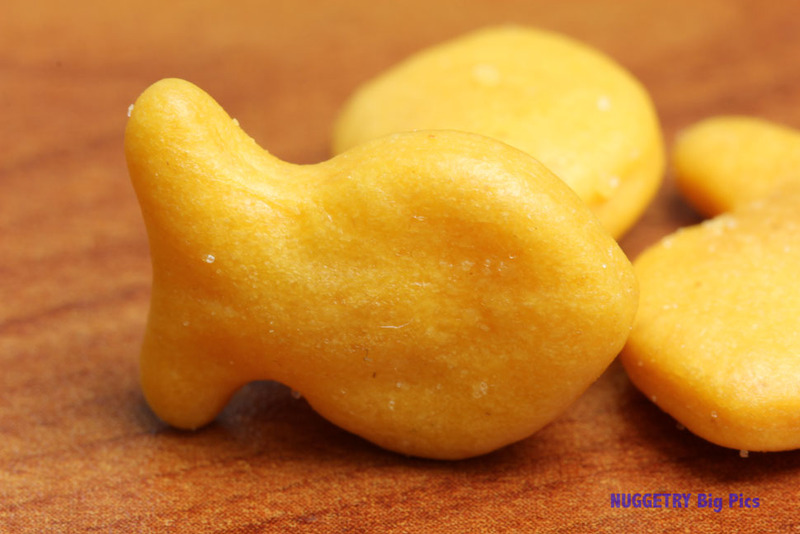 Enjoy this recipe for medicate Goldfish crackers, my fellow stoners! Using a food processor, grind up the butter, flour, cheese, salt, and pepper until the materials are a coarse mixture. One tablespoon at a time, add about 3-4 tablespoons of water. Be sure to grind the mixture in between each tablespoon. The mixture should begin to form a doughy substance. Remove the dough from the food processor and wrap it in plastic. Place the dough in the refrigerator until it is cold all the way through. Get a cookie sheet and grease it with some cooking spray, then roll the dough out on the tray so that it covers the whole pan. Next, you can either use a Goldfish cookie cutter or one of your choosing (I know that they make weed shaped ones, even though the crackers will be orange). These crackers are delicious. Plus, since they’re medicated, they make a good middle-of-your-shift snack if you’re having a rough day at work. Or they’re good to munch on while watching a movie. I highly suggest that you try these crackers if you’re feeling up to baking one day. Not only that, but since you’ll have leftover dough, you can make smaller, shapeless crackers that are also medicated. Stoners love burgers. 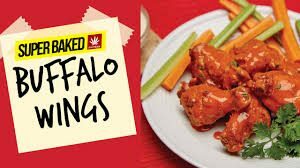 What about burgers that have the garnish of fried cannabis leaves on it? 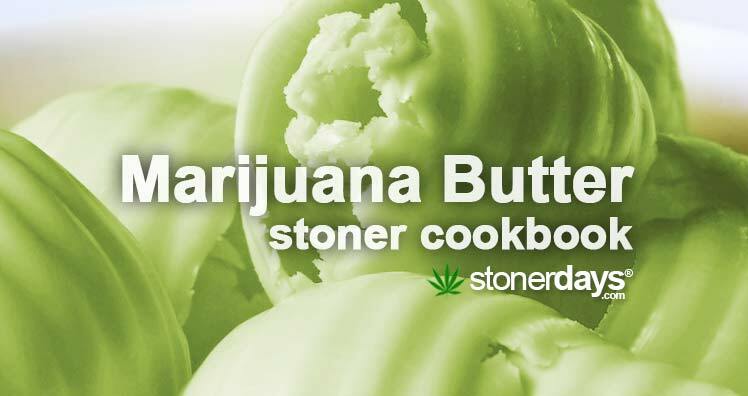 Not only that but adding cannabis butter to a burger is a lot easier than most people think. By mixing cannabis butter with ketchup, mayonnaise, or mustard, you can make any beefy (or veggie) burger medicated. 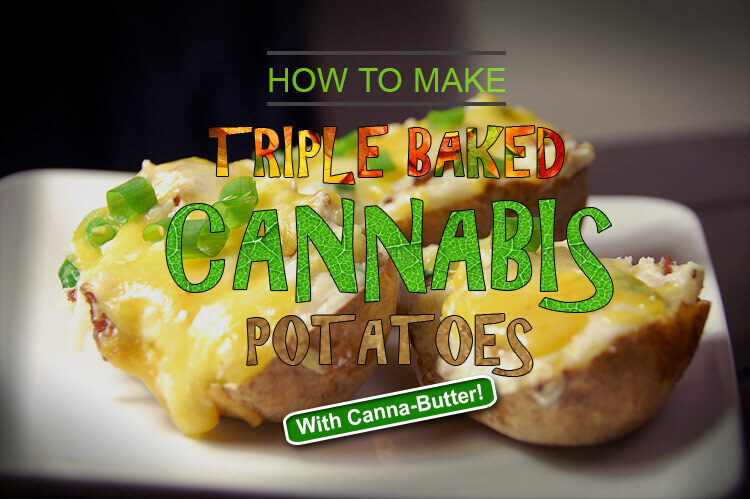 Adding the cannabis butter will give you a delicious meal that will give you a long lasting high. Keep that method in mind for when this burger is complete, fried cannabis leaves in all. 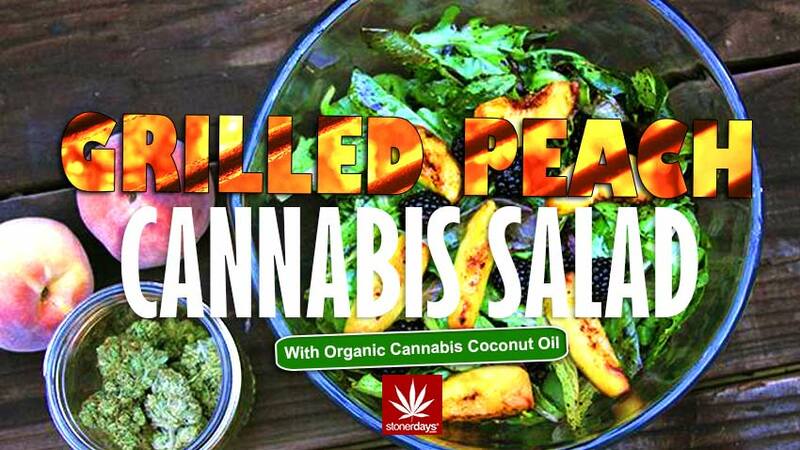 In order to fry cannabis leaves, you have to sauté them in a pan. 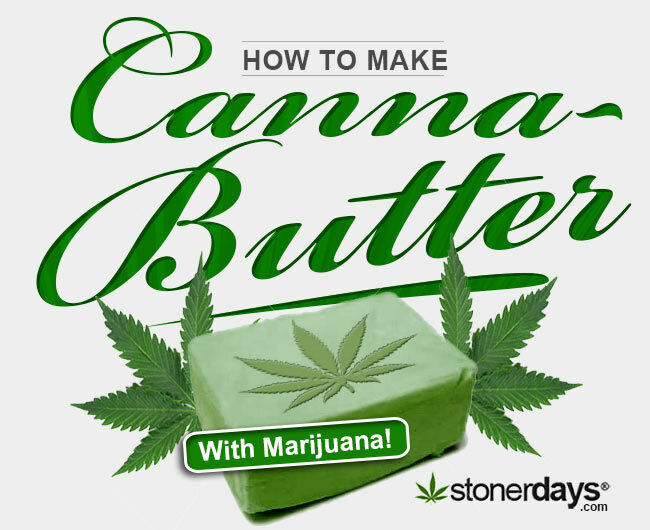 You should use regular butter for this, as the heat would disband the THC that is contained in cannabis butter. Once the leaves turn a golden brown, they’re done. Drain the butter so that they leaves aren’t soaking in it. Cook your burger in the fashion you choose. Grilling usually works best, although those George Foreman grills can pumped out some delicious patties. 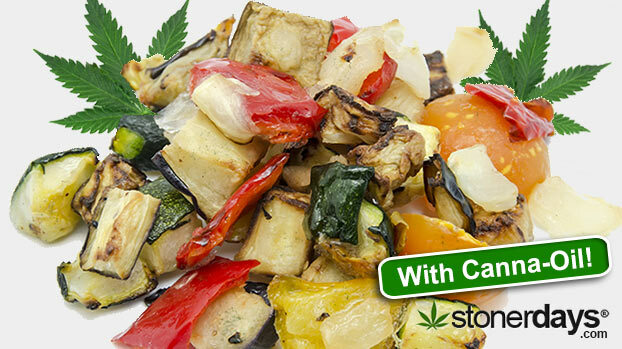 While the burger is cooking, make sure to assemble your canna-condiments in little containers so that they’ll be ready when the burger is done. When your burger is cooked to the temp that you enjoy, place it on the bun. Add the fried cannabis leaves, as well as your condiments, cheese, and whatever else you’ve decided to put on this delicious sandwich. 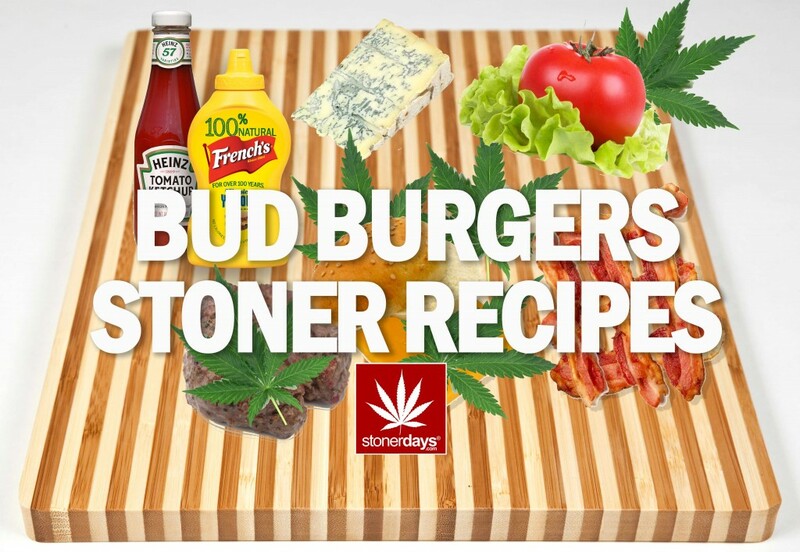 Burgers are definitely popular in the stoner community. The amount of In-N-Out Burger photos that permeate stoner Instagrams is out of control. Whether you’re eating your home made bud burgers or going to grab fast food, you can’t really go wrong with a burger. Even if you don’t eat meat, you have the option to eat veggie burgers. Now, medicated burgers can be the favorite of stoners all over the world. 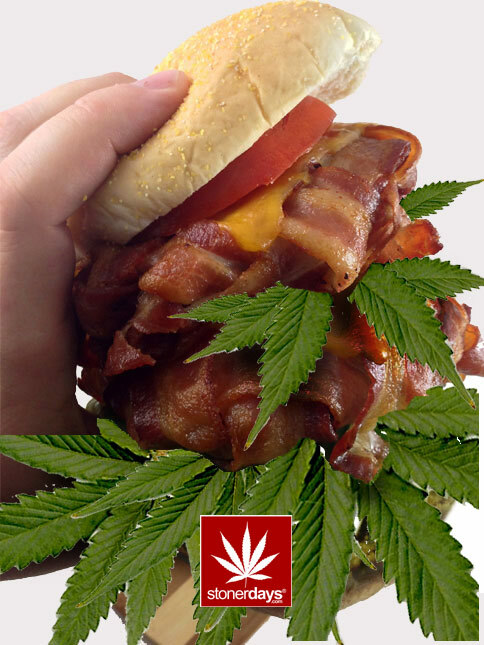 I hope that you enjoy this cannabis leaf/butter burger and that it keeps you flying all day! A true stoner bakesale just wouldn’t be complete without the cupcakes! 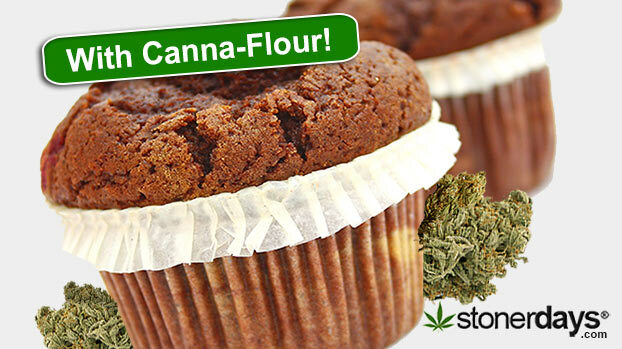 Cupcakes make a great all in one dessert bite and you’re sure to be amazed by just how delicious they can be with an added touch of canna-flour for an elevated kick that’s much more exciting than your grandmother’s recipe. These light and fluffy little cakes give you more than just a sugar high and you’ll be reaping the benefits of your baking in no time. First things first, set your oven to 350 degrees, then begin lining your muffin tin with cupcake paper liners and set that aside for later. 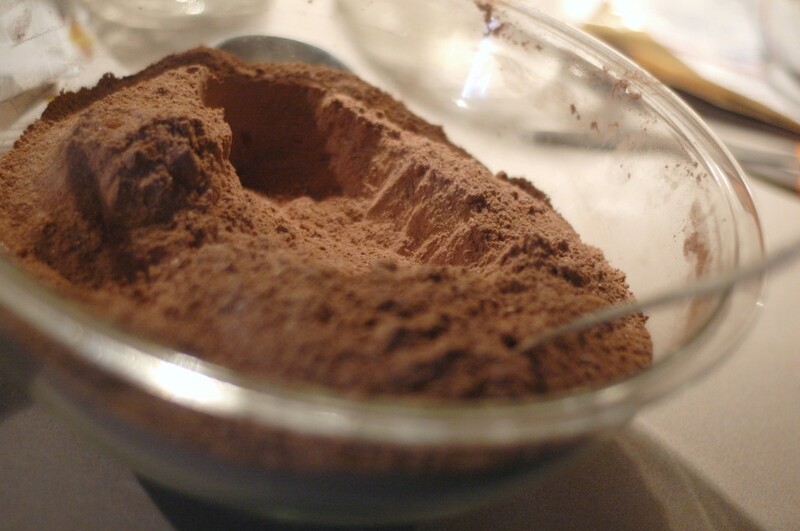 Using a large mixing bowl or an electric mixer you want to sift in the baking powder, baking soda, salt, cocoa, sugar, and canna-flour and mix them well. In another mixing bowl begin adding the wet ingredients, eggs, vanilla, buttermilk, and vegetable oil and mix on low speed in an electric mixer or whisk together briskly by hand. Next slowly pour the wet ingredients into the dry ones while simultaneously mixing everything together. Once you have your mix, stir in the coffee with a rubber spatula as not to “over mix” your batter. Fill the cupcake tins with the batter about 2/3 of the way full to leave room for your THC treats to fluff up and be pretty. Put them inside the oven and let them hang out in there for about 17-20 minutes or until completely cooked in the middle. (Poke a toothpick in the middle of the cupcakes to check, if the pick comes out clean with no batter then they’re done) When they’re finished in the oven let them sit for 5-10 minutes to cool. 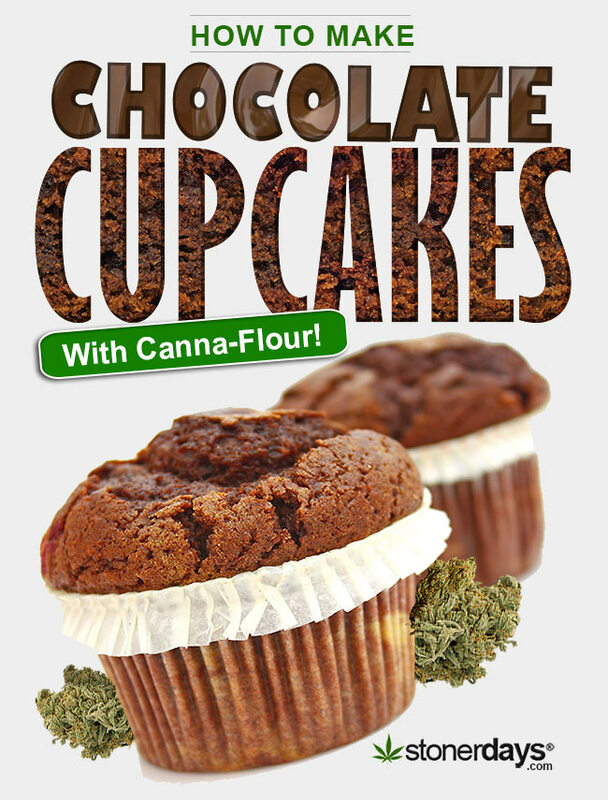 Now it’s time to hand out these yummy marijuana chocolate cupcakes and get couch locked. 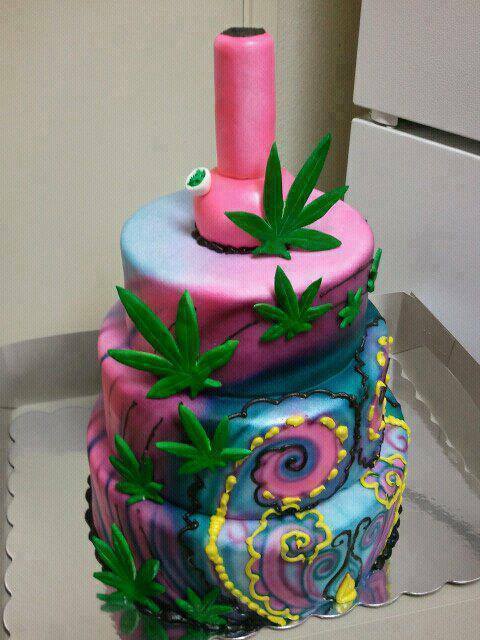 You says you can’t have you cake and get high too? 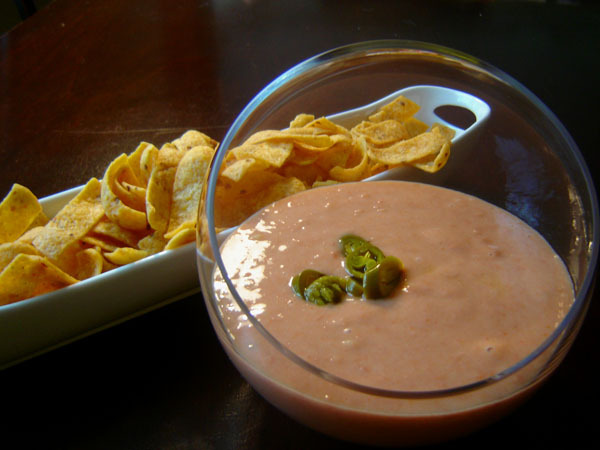 This recepie is very easy and quick to whip up making them great to make as a midnight snack. Peanut butter goodness all mixed in with canna-butter greatness can only lead to one thing, and that’s a very tasty high. This preparation puts a fun twist on a cookie classic and might just leave your mind a little twisted too. Preheat your oven to a nice and hot 350 degrees. Then on a large baking/cookie sheet place some wax paper or grease well with butter or cooking spray. 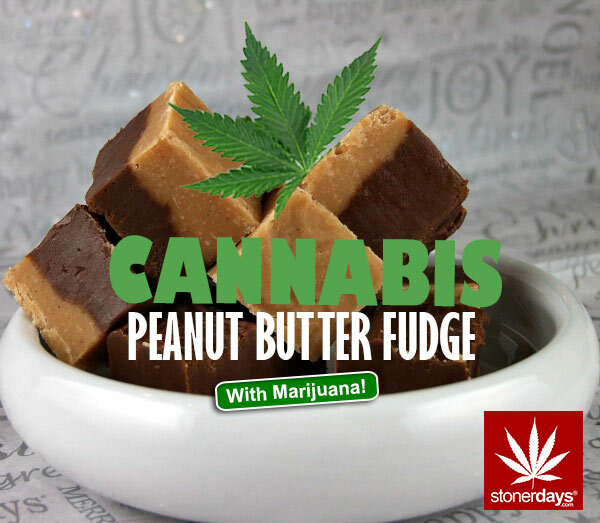 In a large bowl mix together peanut butter, canna-butter, sugar, vanilla, and egg. Once everything’s mixed together, begin rolling the dough into little balls about half the size of a golfball and place them on your already prepared baking sheet. For the finishing touches put a bit of sugar in a bowl to dip a fork in, then press the ever so famous criss cross pattern onto your cookie dough balls. Into the oven they go for only about 12 minutes. Then take them out to cool. 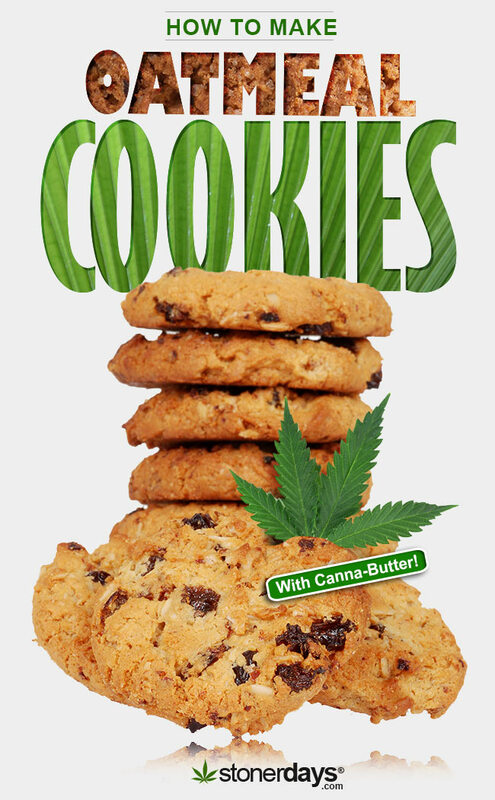 Now you’ve got yourself a super yummy cookie fit for a pot head. 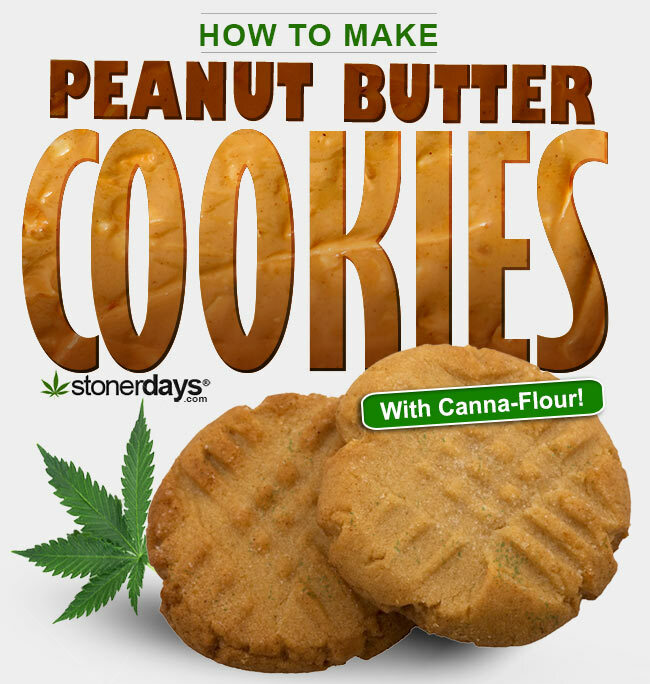 How to make Peanut Butter Cookies with Marijuana, enjoy! 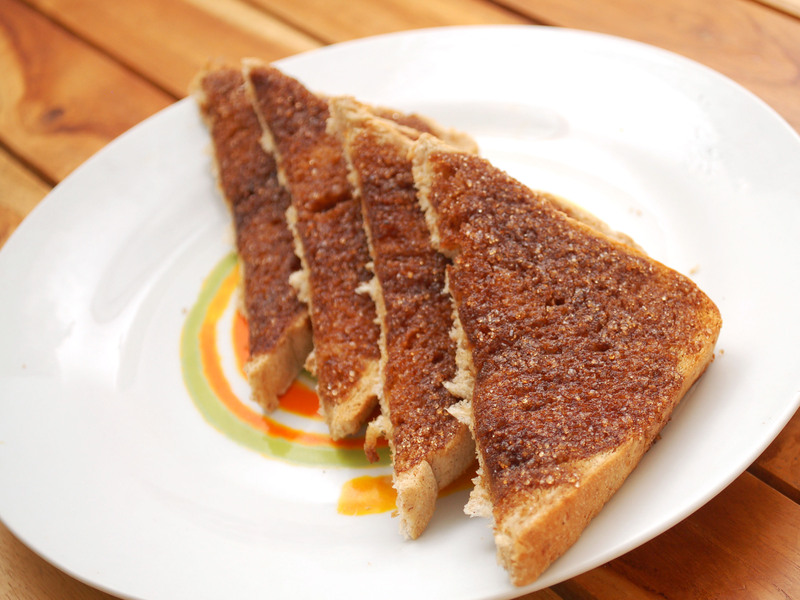 Banana bread is scrumptious comfort food that when biting into it makes you feel like everything’s alright in the world, and this recepie enhances that feeling ten fold. 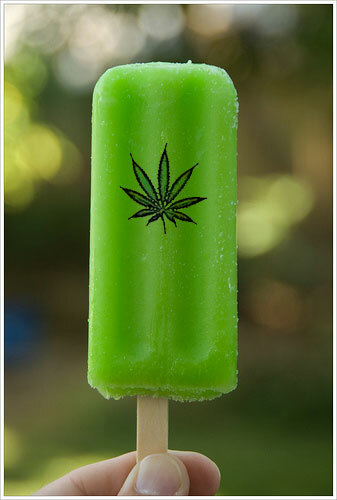 It’s one of those any time of the day foods that is of course that much better when Mary Jane’s included. It also makes for a healthy nutrient rich boost that’s fruity and nutty. Heat the oven to 325 degrees and butter a bread baking tin. 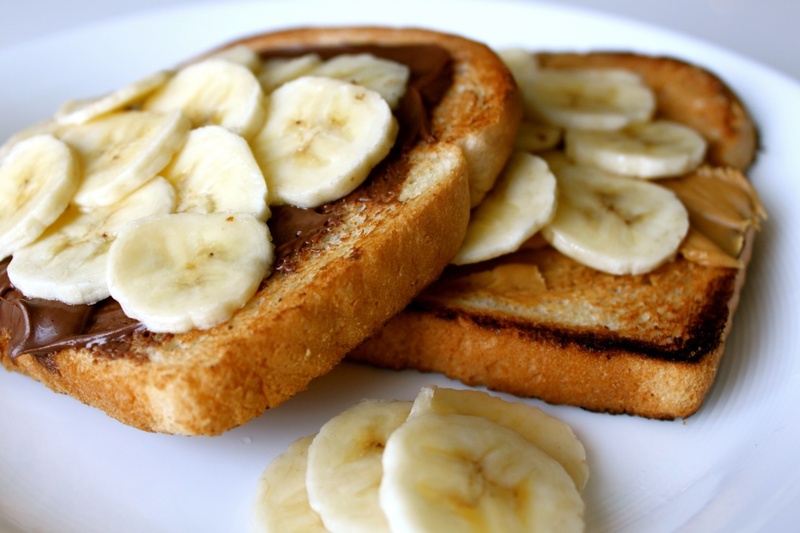 First smash the bananas in a large bowl and then add the eggs, sugar, canna-flour, salt, baking soda, and walnuts. Mix all the ingredients in together and pour mixture into your buttered baking tin. Put it in the oven and let it cook for an hour. Once it’s done you get to bite into chewy, nutty, banana bread that not only fills your stomach but gets you baked too! 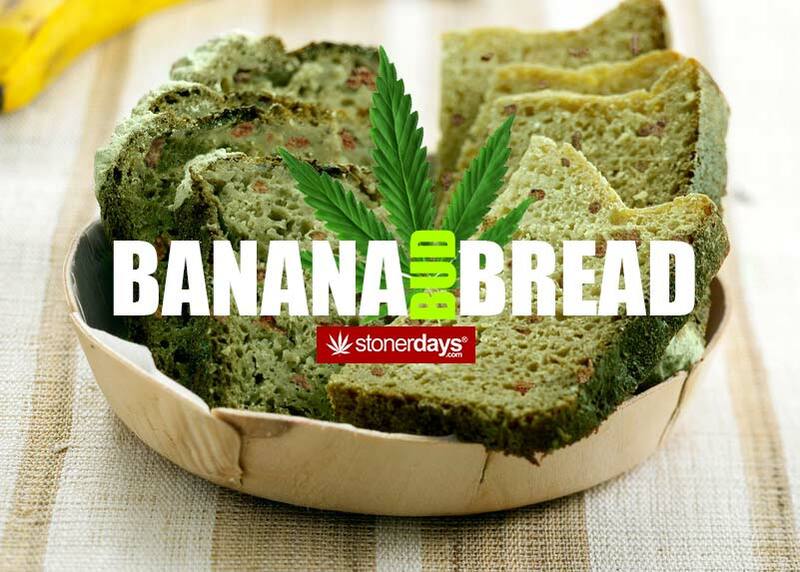 Enjoy Marijuana Banana Bread!! This delicious Tokyo style dessert snack puts bananas in a league all their own and is sweet in all the right ways. 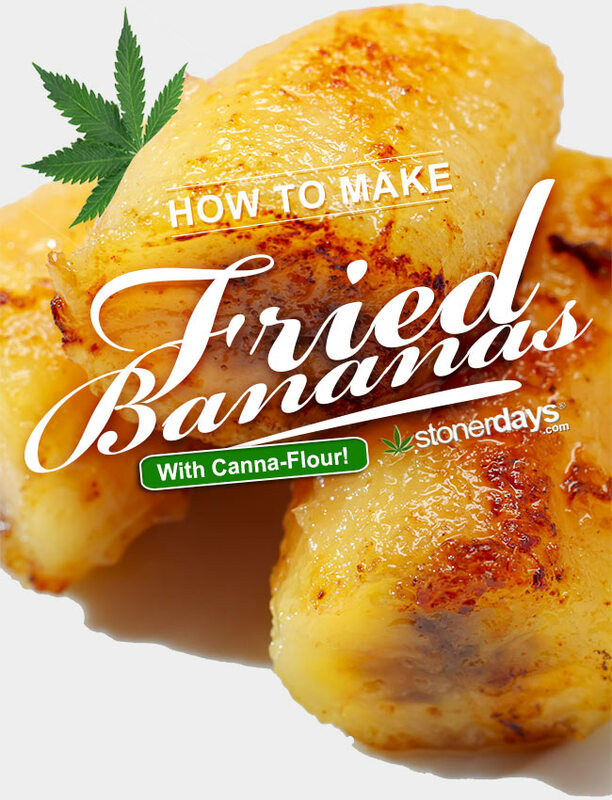 With the added canna-flour, these fried bananas would workd great for medicinal patients who’d like to releive pain and eat good at the same time. It’s pretty simple to prepare and might just have you hooked eating your high fried banana style. Depending on the amount of bananas you’ll be making will determine the amount of batter you’ll need. Slice each banana in half horizontaly and then again vertically. In a mixing bowl stir together waffle/pancake mix, canna-flour, cinnamon, and sugar. If using only 1 cup of waffle mix then use a 1/2 cup of milk, or if using 2 cups use 1 1/3 cup measure of milk. Mix well. Next, fill a large pan with the vegetable oil and let that get nice and hot. Remember to be careful when handling hot oi,l it has a tendancy to be mean and pop around when it’s hot. You’ll know the oil is the right temperature if you put a small drop of batter in, and it starts to sizzle and turn brown, now it’s ready to start cooking your special bananas. After bananas are battered, place them in the very hot oil and let them sizzle and get yummy until they turn golden brown in color. Leave them to cool on a plate with 2 paper napkins to soak up any excess oil. Once cooled, add a little more pizazz and sprinkle them with sugar and cinnamon. Or if you’re in the mood to be really naughty, serve with ice cream and indulge yourself in a banana sweet stone. 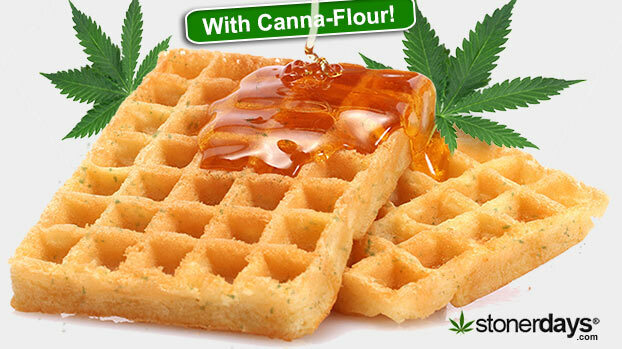 It’s never too early to get high, and marijuana waffles seem to be the best way to get your morning started off right. 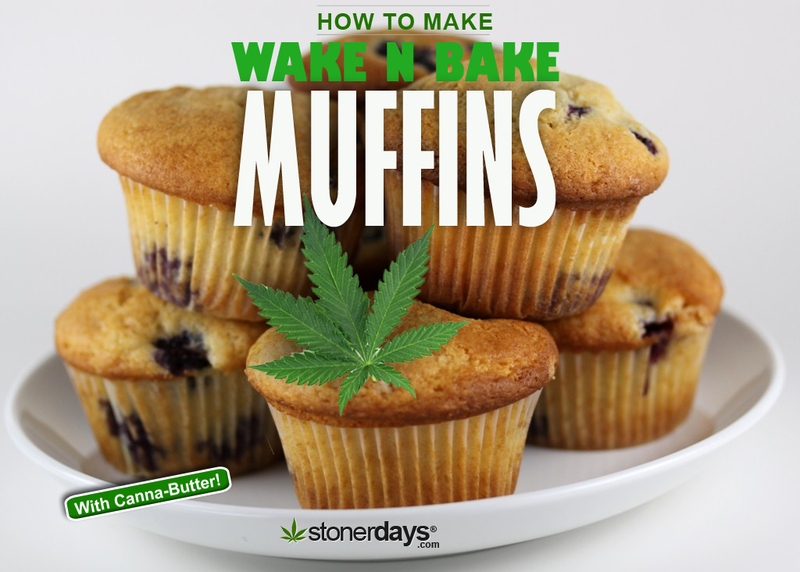 This recipe calls for canna-flour as well as canna-butter so be ready for a very happy and uplifting breakfast. This same mixture can be applied to pancakes as well, so if flapjacks are your thing you’re still in luck. 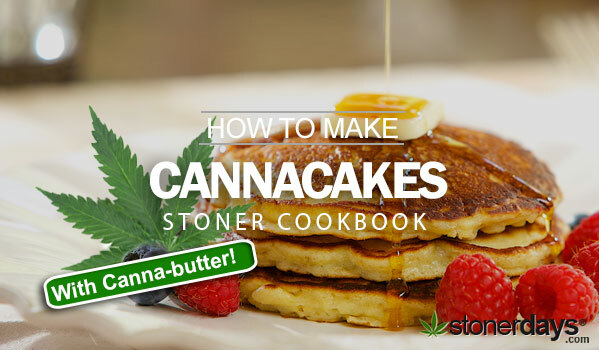 Stoner Cookbook – How to make waffles with marijuana. 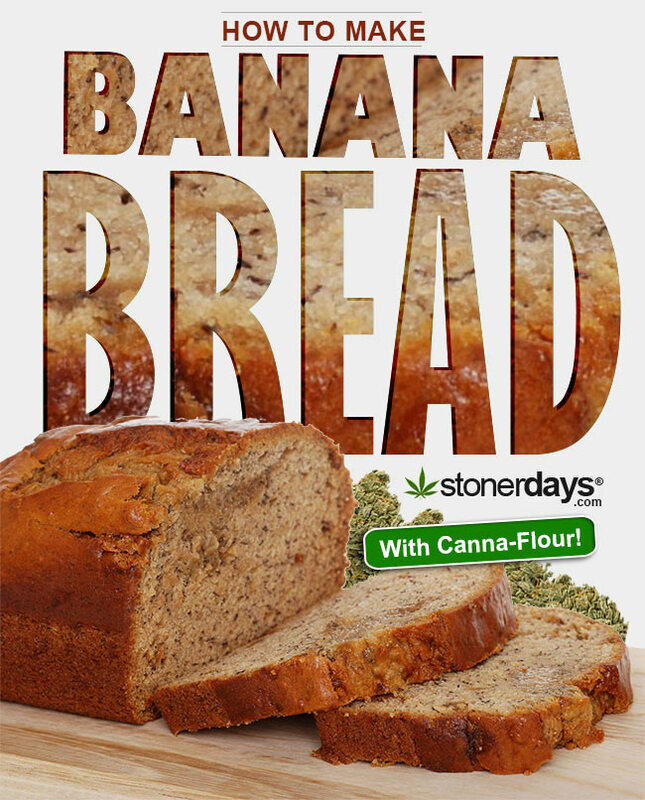 In a large bowl you’re first going to mix together salt, sugar, baking powder, and canna-flour. With the separated eggs add the yolks one at a time while simultaneously stirring into the dry mix. In a smaller separate bowl, beat the egg whites until stiff. Next add canna-butter and milk into the dry ingredients and mix it up really well. Lastly add in the egg whites while gently stirring. Make sure the pan you plan to use is nice and hot before you start adding batter. 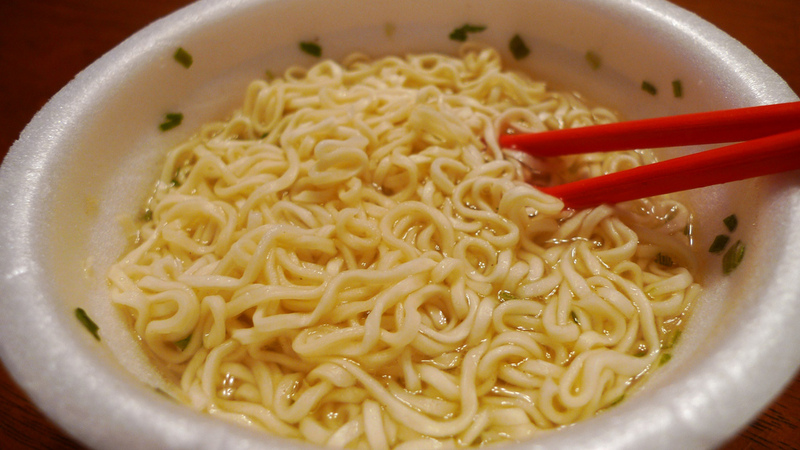 You can use 1/3 to 1/2 of a cup to determine how much should be poured into the pan. When your pan is hot enough, begin pouring in the batter and be ready to flip it when you see bubbles popping up throughout the batter. For even more simplicity, pour the batter into a waffle maker. 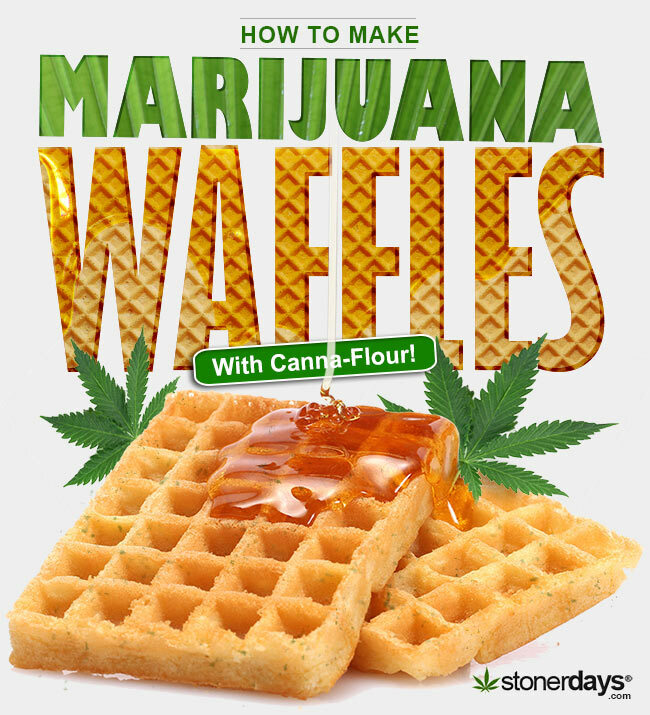 Now all that’s left to do is grab the syrup and enjoy the most important meal of the day while cheesing from ear to ear, Marijuana Waffles! 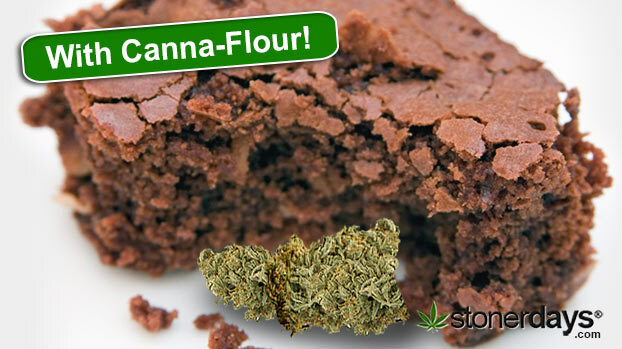 The infamous weed brownie is infamous for a reason and incorporates two of the best things on the planet; brownies and weed. Brownies are a perfect baked good to share with friends and when you serve these they’ll be knocking down your door to get another taste of your bud brownies. Once you’ve whipped up a batch of these goodies, you might not be able to go back to regular box mix brownies again. You need to set your oven to 350 degrees for this one and take out a 9×3 baking dish. Begin mixing oil, sugar, eggs, and vanilla in a small bowl and blend well. In a larger mixing bowl, combine the cocoa powder, salt, canna-flour and walnuts if you want to be a bit fancy. Next add the wet mix in slowly with the dry ingredients while stirring everything together. Pour the trippy brownie batter into the 9×3 pan. If you happen to have a love connection with caramel, spread over top the batter and with a knife slice through the batter in different directions to allow the caramel to seep into the brownies; oh. my. yum. Pop in the oven and let it cool for about 30 minutes or until it’s no longer gooey. When they’re done, take them out the oven and let them get cool enough to demolish. Slice into brownie pieces and prepare to get lost in a high all mixed in with chocolate and good vibes. 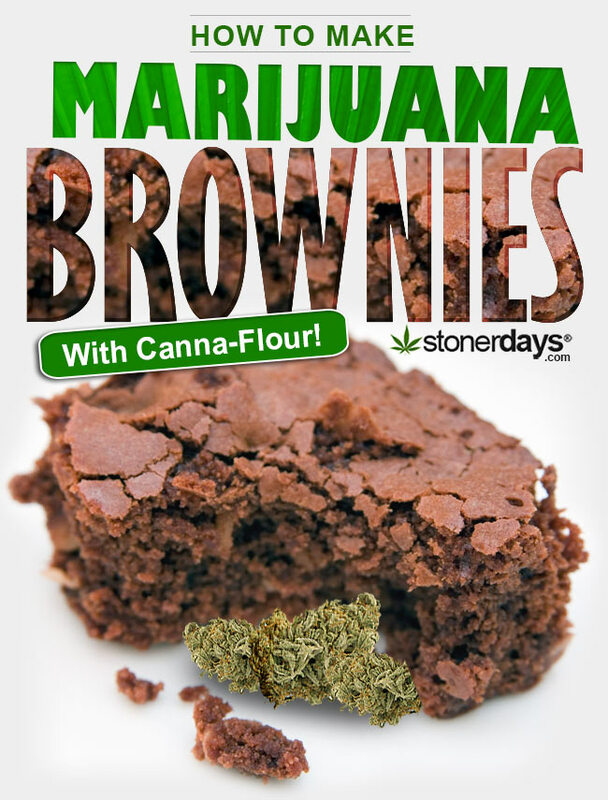 Thats How to Make Marijuana Brownies! 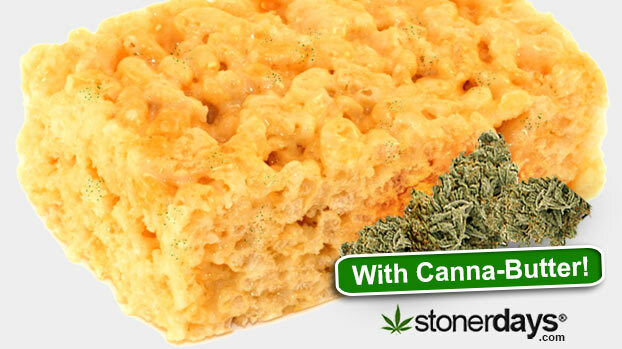 Snap, Crackle, and Pop would turn into stoners if they tasted these rice krispy treats!. Rice krispies are a common edible found in many medical marijuana dispensaries, but are a really fun project to take on yourself. 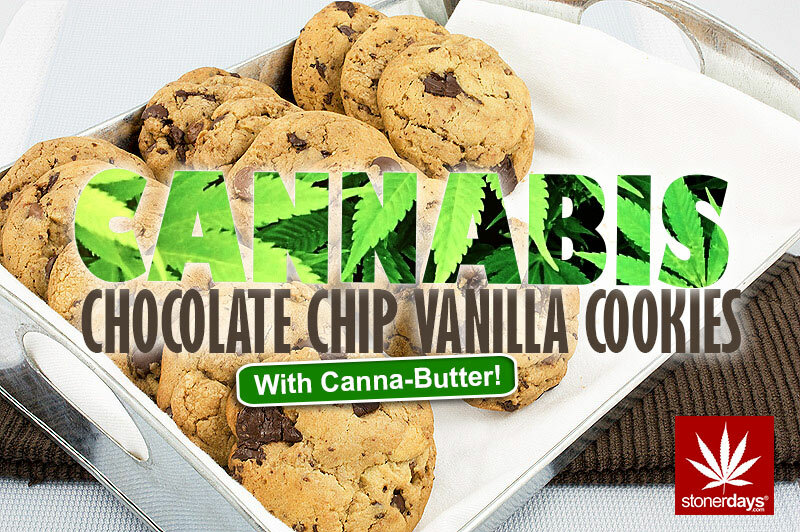 With whatever dank you choose to use for your canna-butter, you can make these some very potent treats. Start by buttering a 13x9x2 inch pan making sure to coat the entire pan evenly. 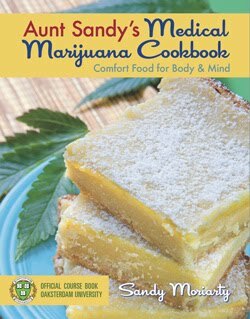 Melt canna-butter in a large sauce pan on low heat while stirring continuously making sure it doesn’t burn, you don’t want a nasty mess. Once it’s melted, add the bag of marshmallows and mix them in until they’re completely melted as well, then remove from heat. Pour in the cereal making sure to mix it well and to get all the cereal generously coated with the sticky marshmallow mix. Place it inside your pan spreading it out evenly and press down on the mix to help the firming process. leave it to cool while you think about how good it’s going to taste and then cut into whatever fancy shapes you like. 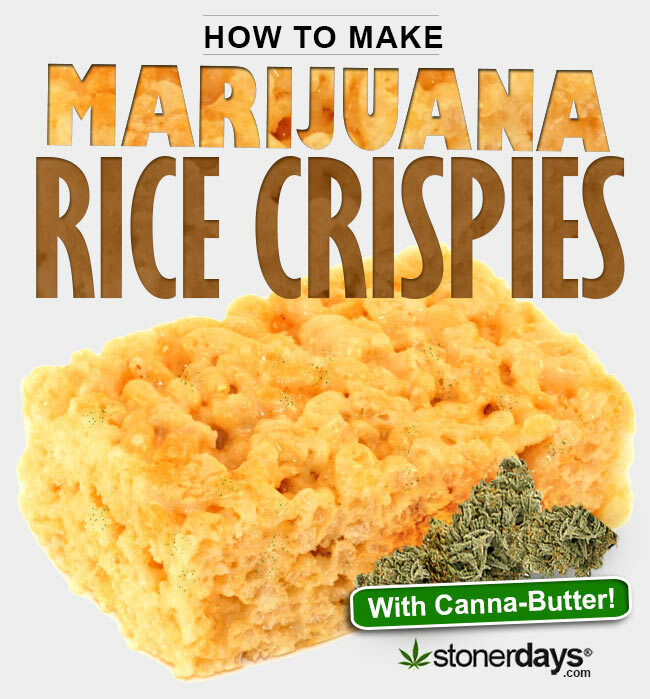 If you thought rice kripsy treats were boss before, wait till you experience what the power of canna-butter can do… And thats how to make Rice Crispies with Marijuana! 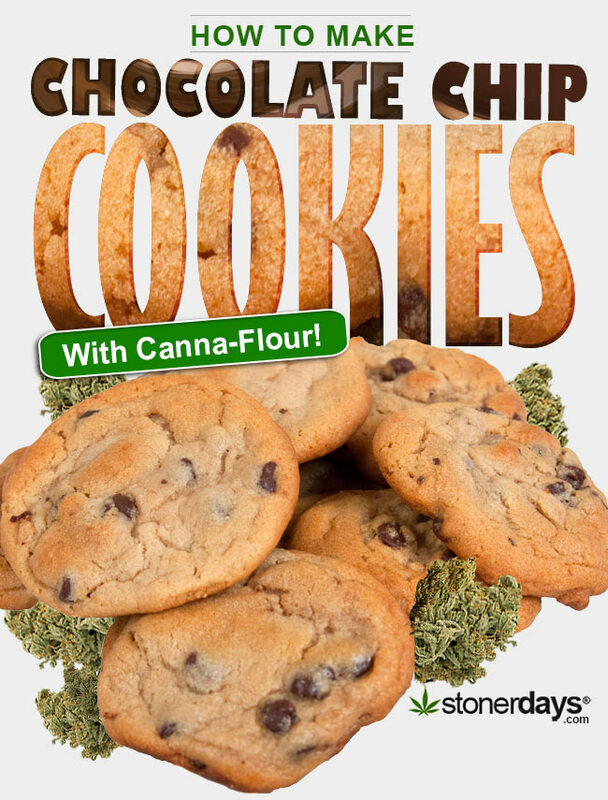 Learn How to Make Marijuana Chocolate Chip Cookies! Without a doubt these were the cookies cookie monster was so chronically addicted to. Everyone and their mom loves chocolate chip cookies. 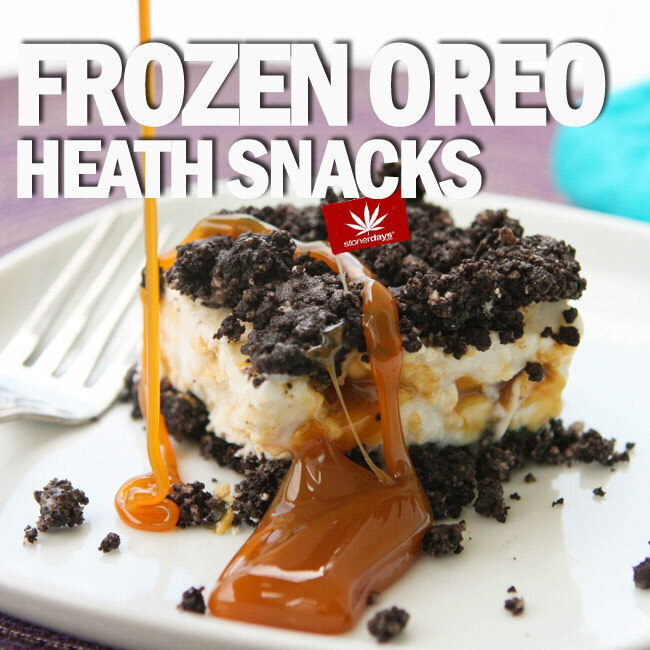 They possess a flavorful chocolate and cookie taste that’s simply irresistable and as a stoner, with these sweets you really get the best of both worlds. They put milk and cookies in a whole new dimension and chances are you’ll want to be there for a while. Preheat the oven to 350 degrees. While that’s getting hot, cover a cookie sheet with wax paper to make them easier to remove when they’re finished. In a mixing bowl combine the canna-butter and sugar. Then add the molasses and vanilla. In a sperate bowl mix flour, baking soda, and salt. Next add the dry mix in with the canna-butter mix and make sure everything’s well combined. 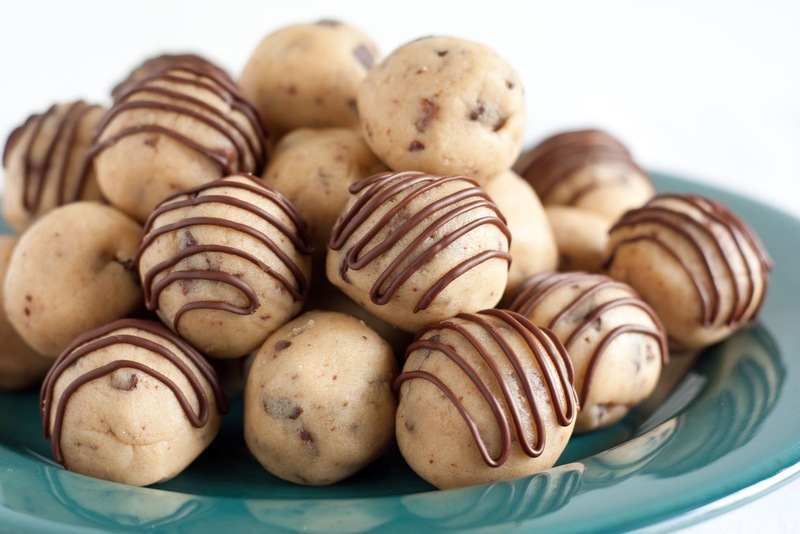 After all the ingredients are mixed in well and partying together, fold in the chocolate chips. Roll the dough into spoonful size balls and line them on the cookie sheet. Put them in the oven to bake for about 8-10 minutes or until golden brown. Take them out to cool and you’re done. 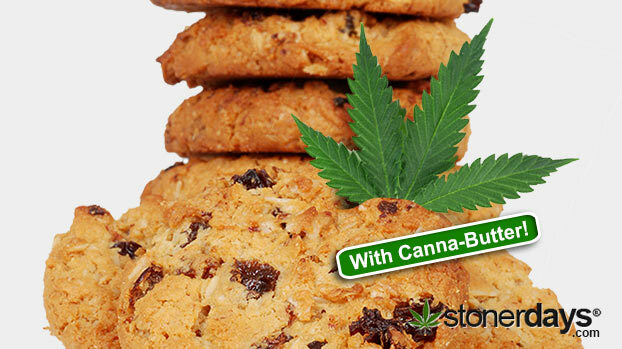 So sit back, relax, and get cozy with your canna-cookies. 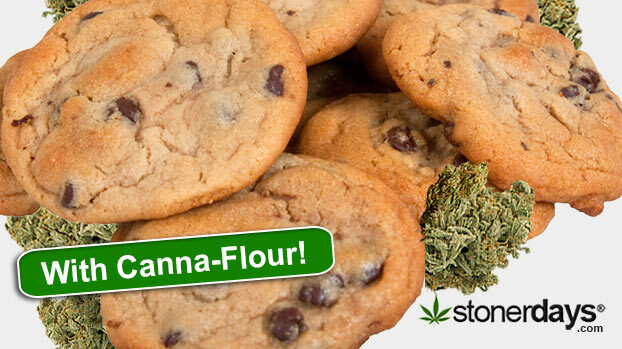 You’ve just learned How to Make Marijuana Chocolate Chip Cookies! Oatmeal cookies provide such a hearty bite that it’s hard not to fall in love with them, especially when you’ve got oats and raisins falling out of your mouth. Raisins and oats are both good for your health and so is cannabis. So it’s only right that they join forces to produce this super cookie. 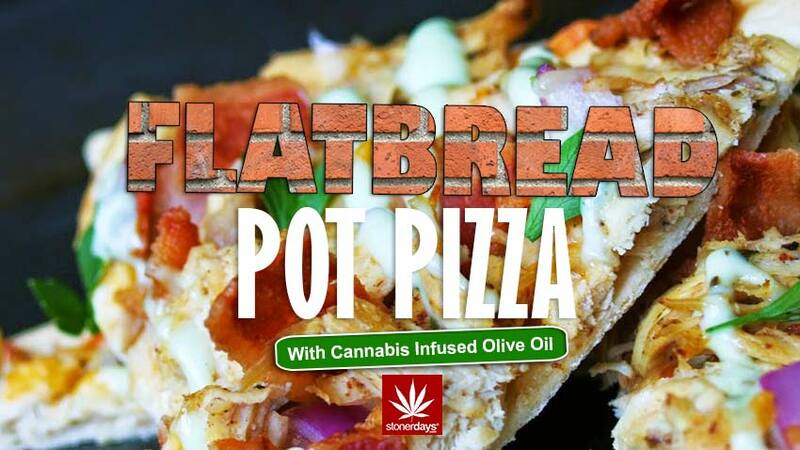 So if you love eating, and you love Mary Jane it’s time to start cooking! First heat your oven to 350 degrees. Line a cookie tray with wax paper or use a non-stick pray so you won’t have the headache of cooies that don’t want to come off the pan. In a bowl, combine flour, baking powder, baking soda, cinnamon, and oatmeal, mix well. Grab another bowl and beat eggs, salt, and vanilla. 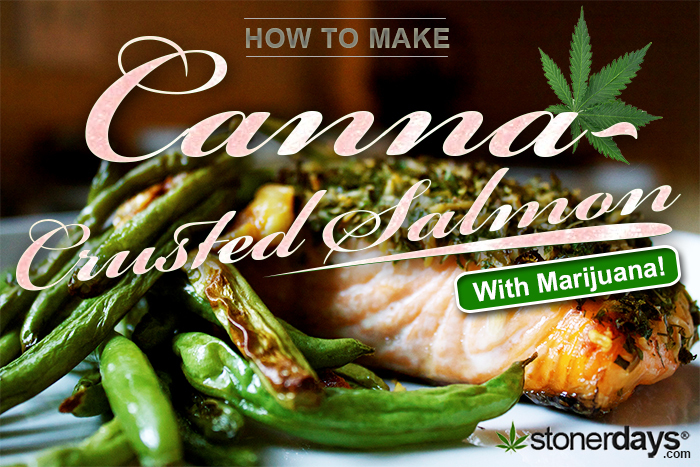 In another large bowl add the canna-butter, oil, and both sugars. Add in the egg mix until creamy and smooth. Then pour in the flour mix and stir everything in together. Now add in the raisins and mix once more. Roll the cookie batter into whatever size balls you’d like and put them on the cookie sheet and into the oven to bake for 12-15 minutes. After they’re out the oven let them cool for a bit. You’ll love biting into these scrumptious cookies, especially when you know what’s in store. 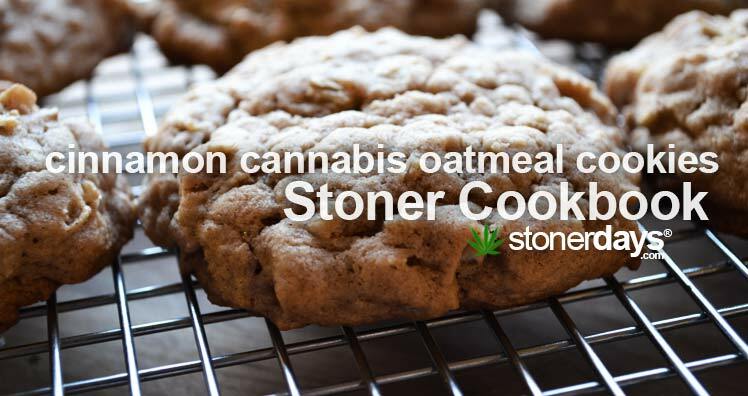 Enjoy Making Oatmeal Cookies with Marijuana! Thinking about baking? 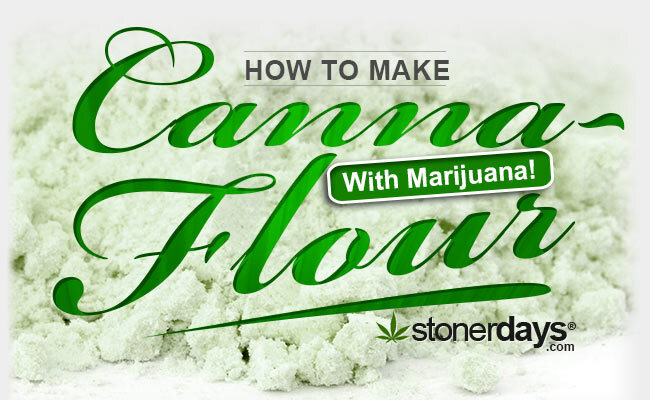 Well canna-flour is exactly what it takes to make your sweet treats that much sweeter and requires so little preparation, you’d be crazy not to keep a batch on hand. You’re going to be needing very finely ground marijuana for this one, so maybe a few runs through the grinder plus a little added man power to make it dust like. Don’t feel bad about beating the crap out of your nuggets, they’re being put to good use. 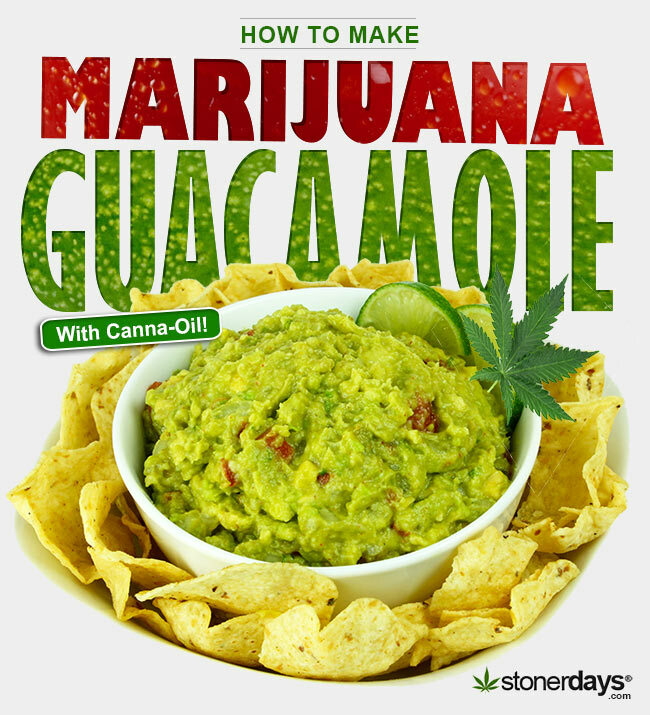 ½ cup of finely ground marijuana for every 1 cup of flour. Simply ground your choice of KGB as finely as possible until it looks lke powdered weed. Butter is used in a multitude of recepies in cooking and is loved by many, but spread this stuff on your toast in the morning and everyone around will just have to watch you float away, and then ask you for some. 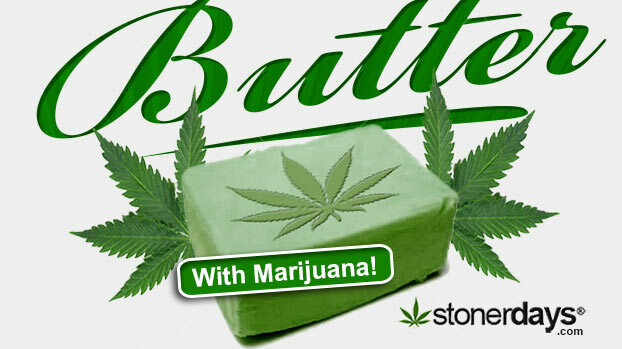 Canna-butter is one of the most commonly used forms of cannabis when it comes to cooking and whipping up edibles because of its versatility, and the fact that it’s pure genius in butter form. First, melt the butter in a saucepan on medium heat and when it begins simmering, stir in the dank and let it simmer for 30 minutes. 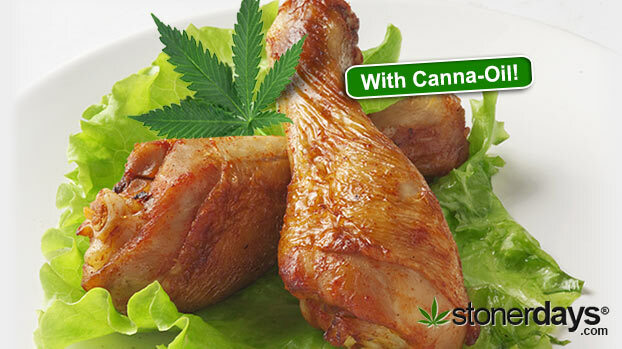 How to make Marinated Chicken Legs with Marijuana… Stoner life isn’t all about snack,s and we do know how to enjoy a well cooked savory meal. 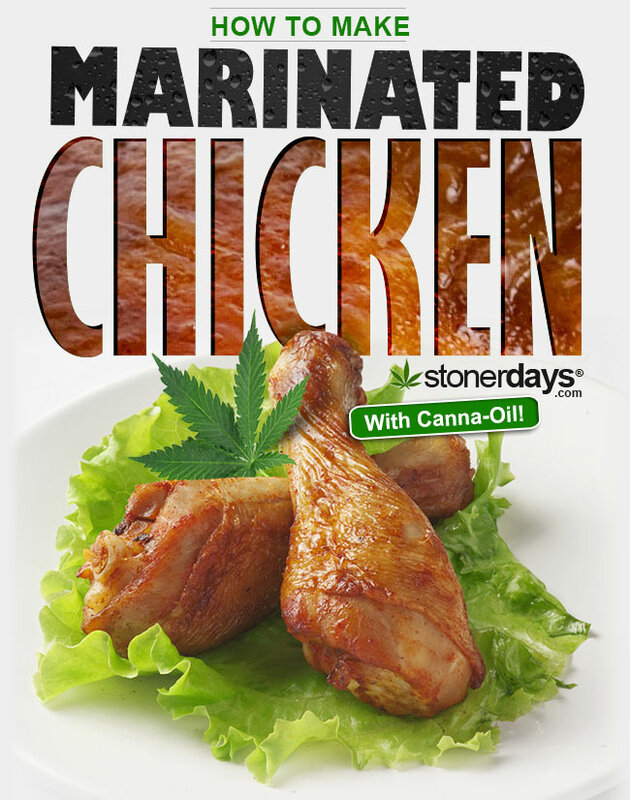 Chicken is the bomb, and pretty much everyone on the planet agrees, but chicken that gets you high; whoa! 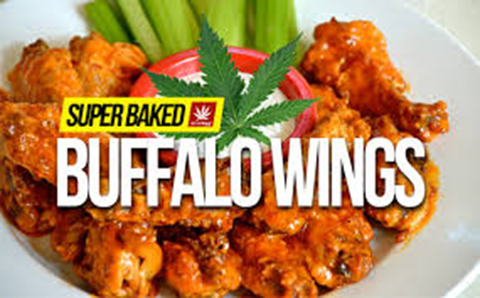 This recipe is a weed smokers dream meal. The marinade is delicious and penetrates through the chicken legs to give you a burst of moist chicken flavor in every bite. Grab a leg and eat it alone, or serve with your favorite side for complete satisfaction. 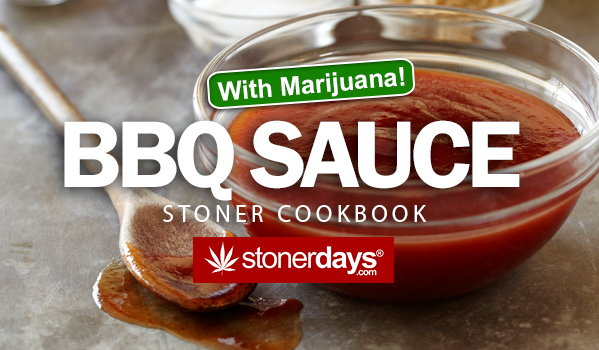 We’re going to start with the marinade, so grab a large mixing bowl and pour in canna-oil, lemon juice, mustard, soy sauce, pepper, and garlic powder. Mix them together. Now place your chicken in the marinade making sure it’s completely coated in the mix. Cover them with plastic wrap and let it sit in the fridge for about 2 hours or longer. (The longer it chills in the marinade the better the taste and the high) After the time passes, preheat your grill to high heat and pour some of the chicken juice on the grill to oil it up and further cook the flavor into the legs. Now put the chicken on the grill and pour the rest of the mixture over top it right after throwing it on the grill. Now let it cook on the grill for about 8-10 minutes or until the insides are no longer pink (when checking for pinkness, pick the largest part of the chicken). 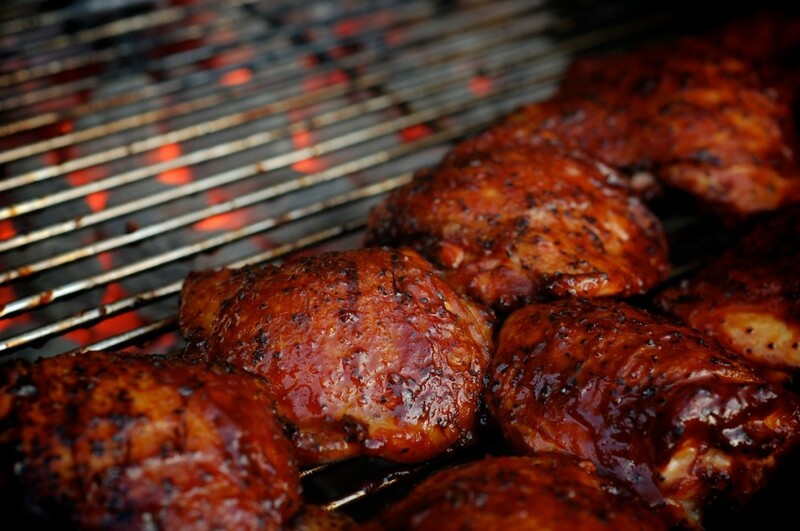 If you like your grilled chicken smothered in perfectly sinful sauce, use 2 cups of honey BBQ sauce with 2 teaspoons of canna-oil and stir together, it adds a great finishing touch. This is what you would call a gourmet way to get blown, bon appetit!